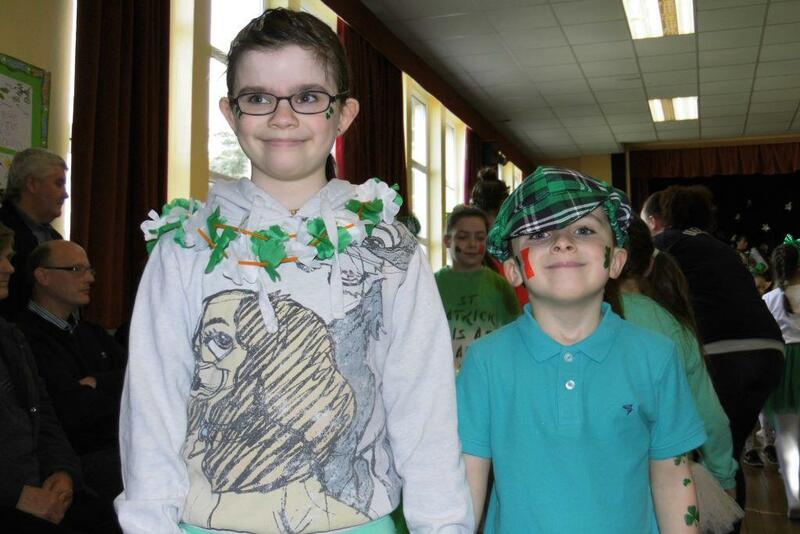 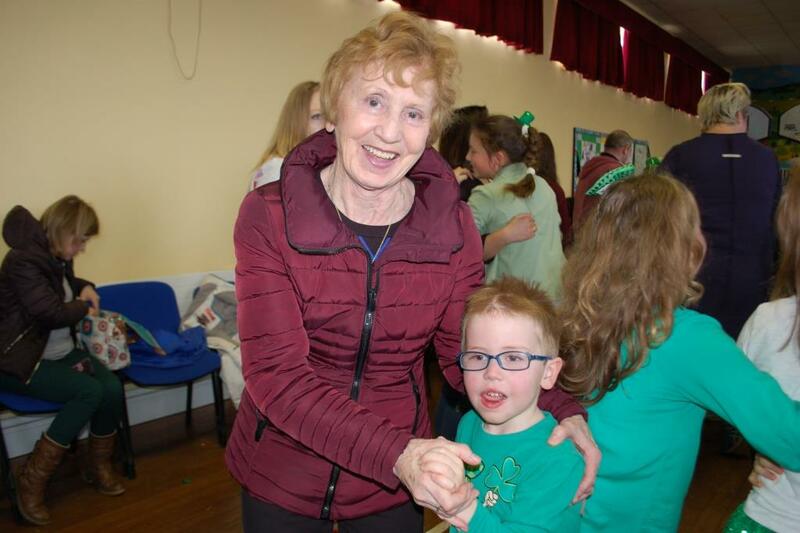 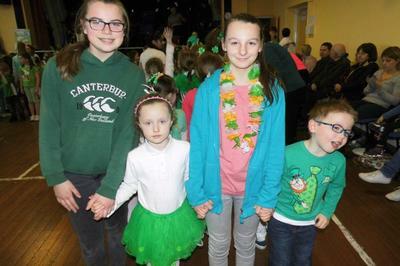 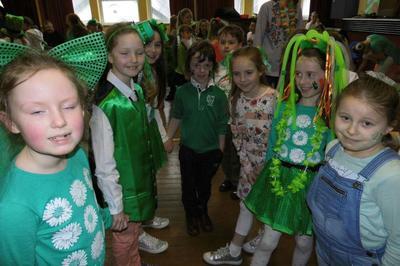 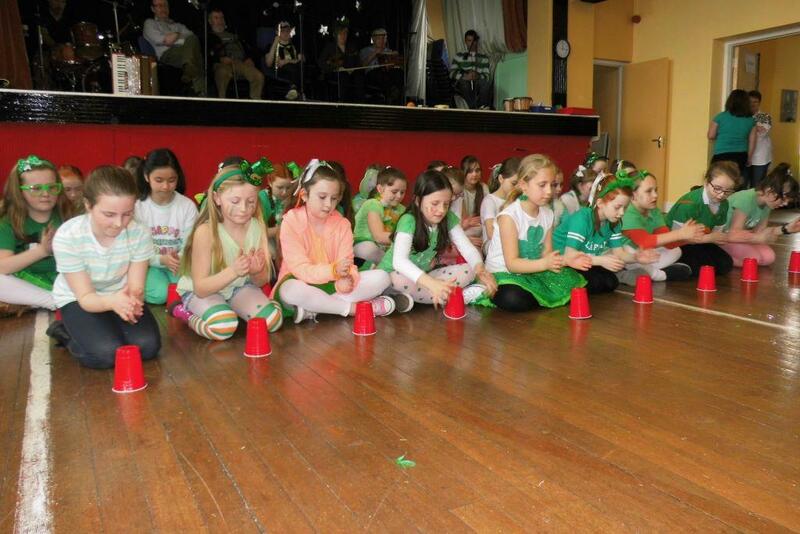 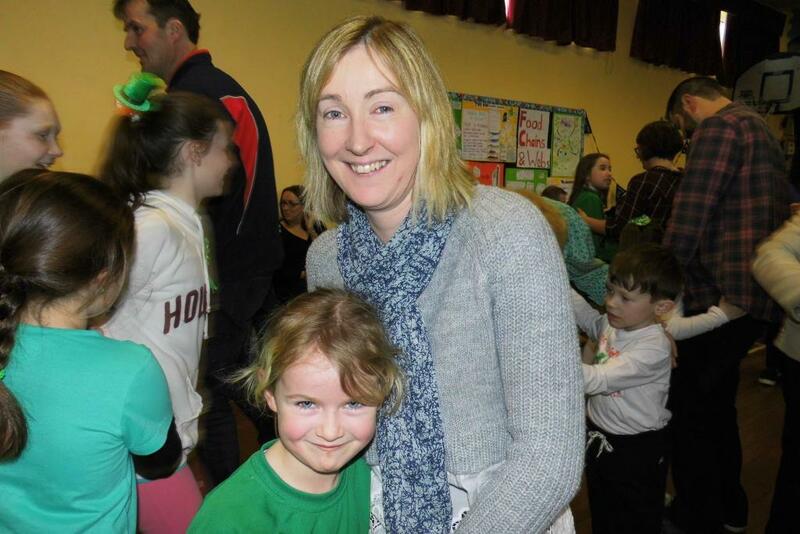 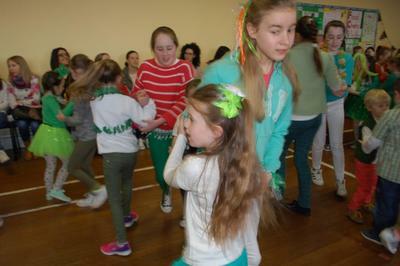 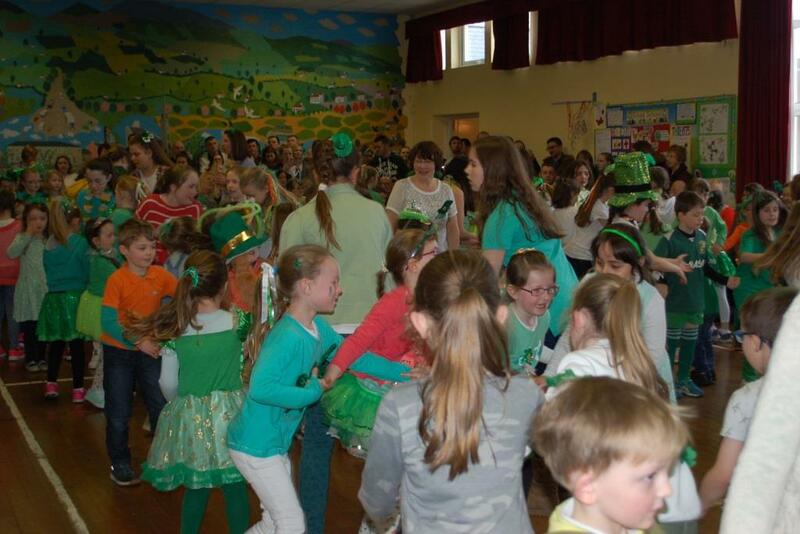 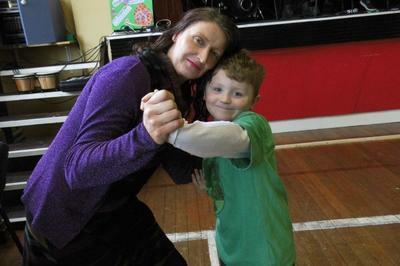 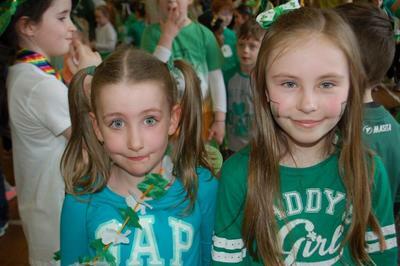 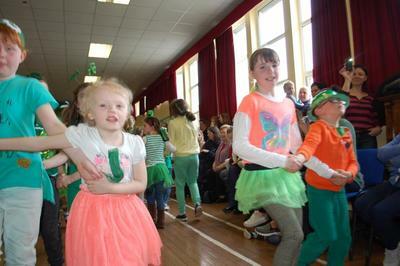 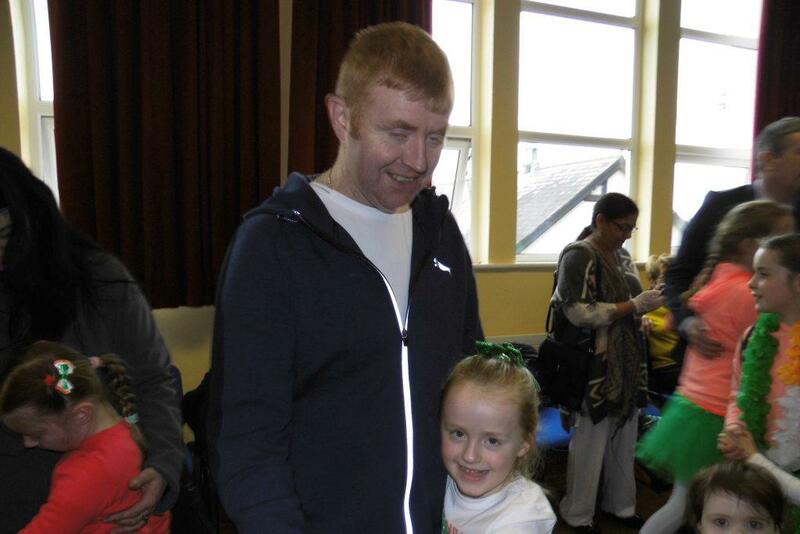 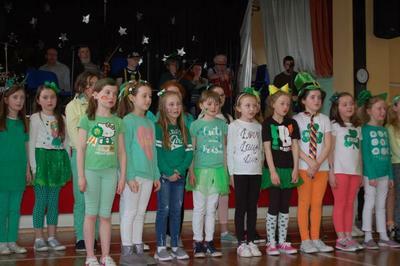 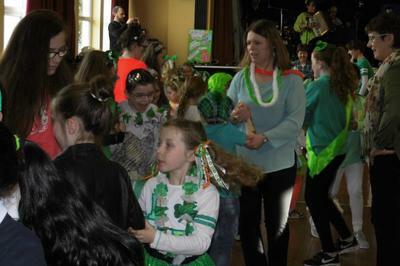 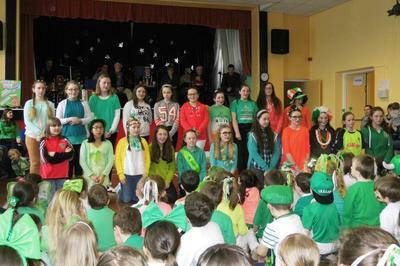 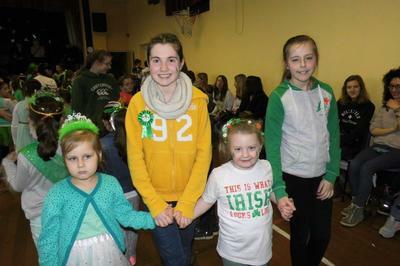 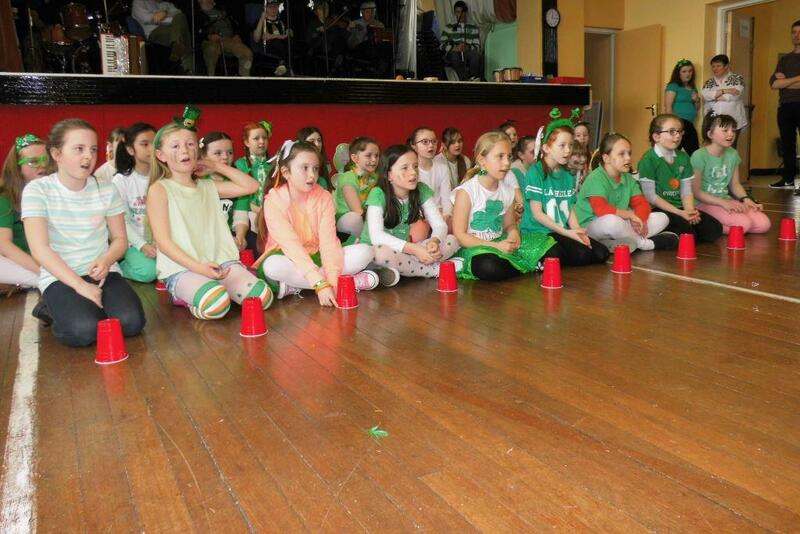 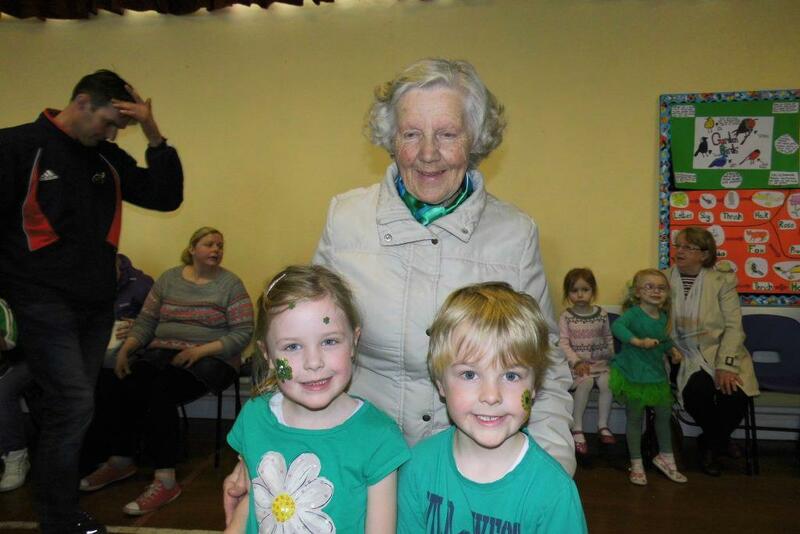 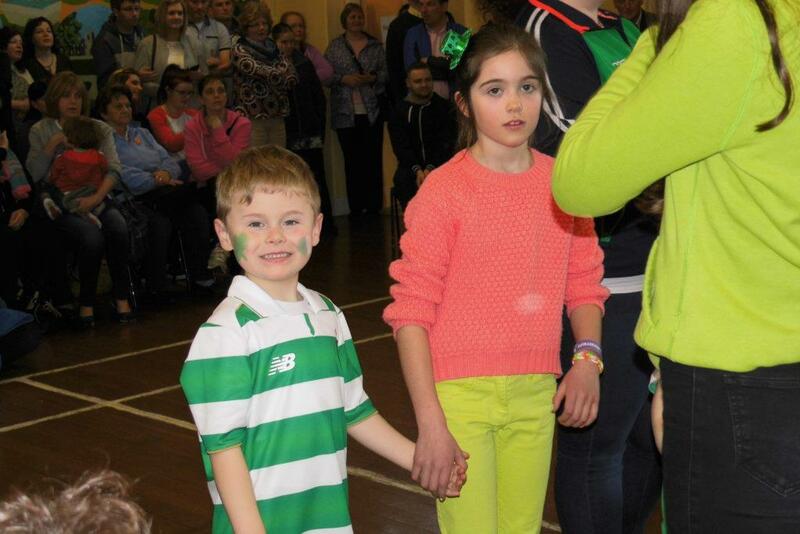 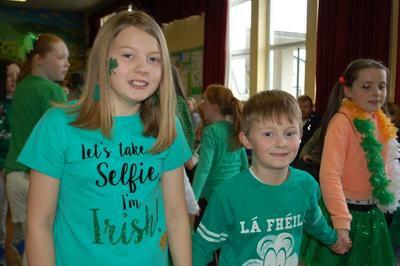 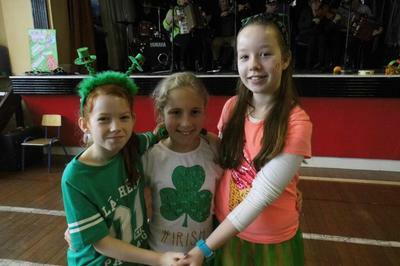 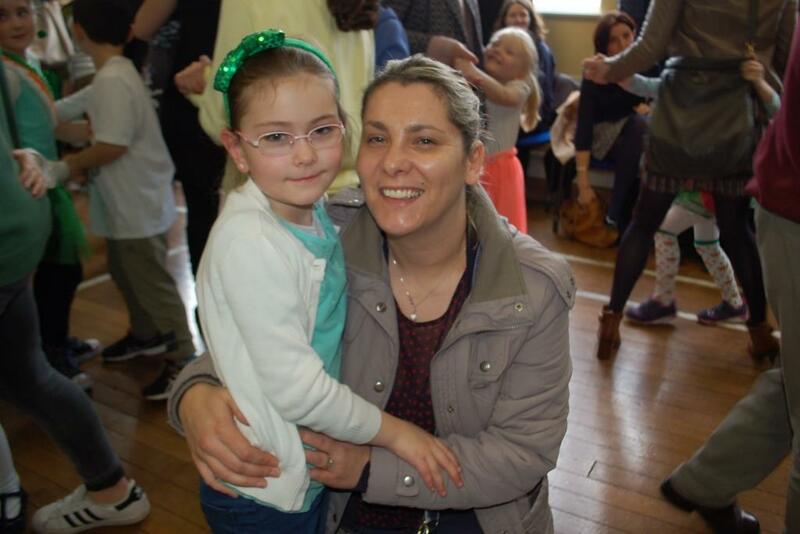 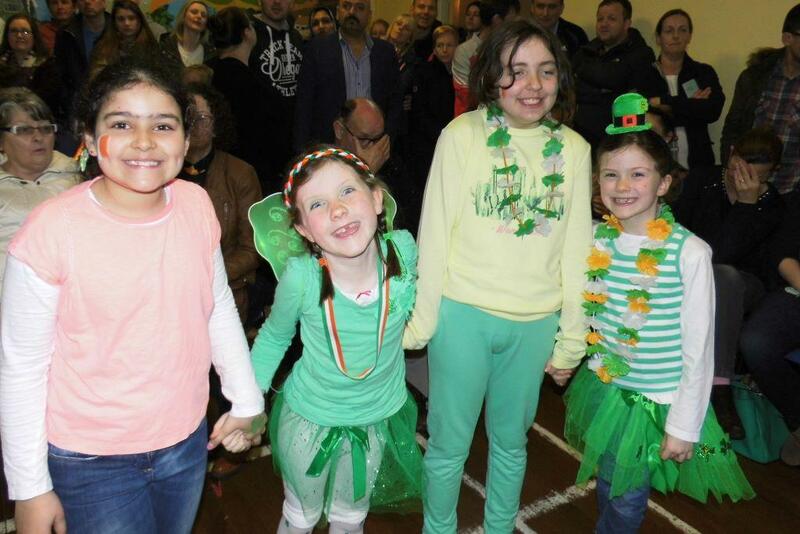 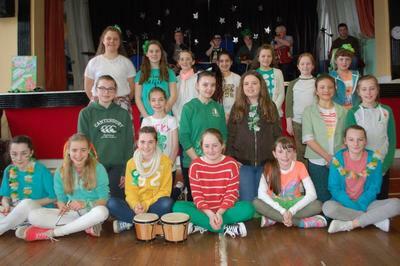 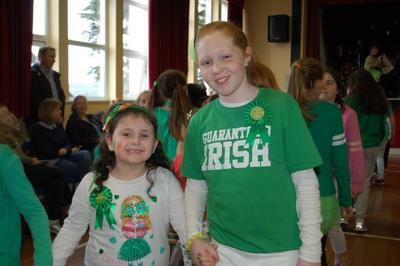 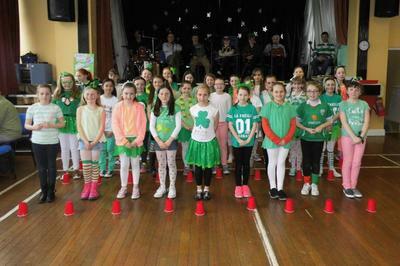 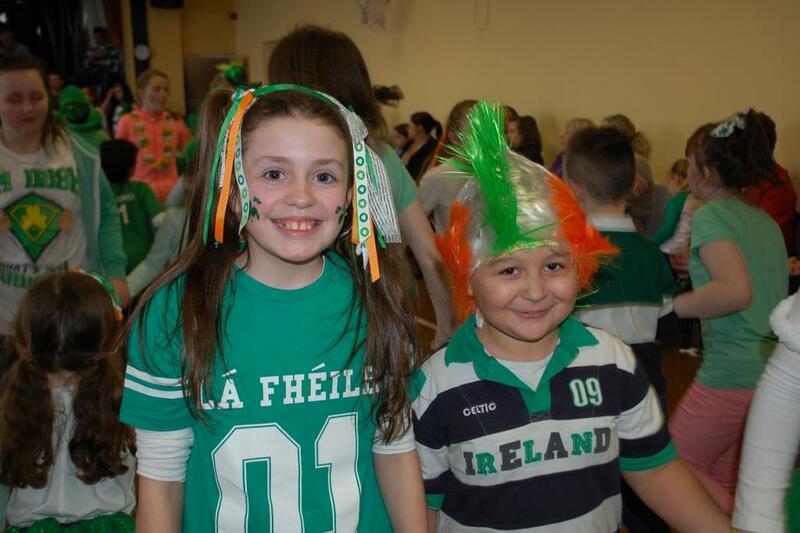 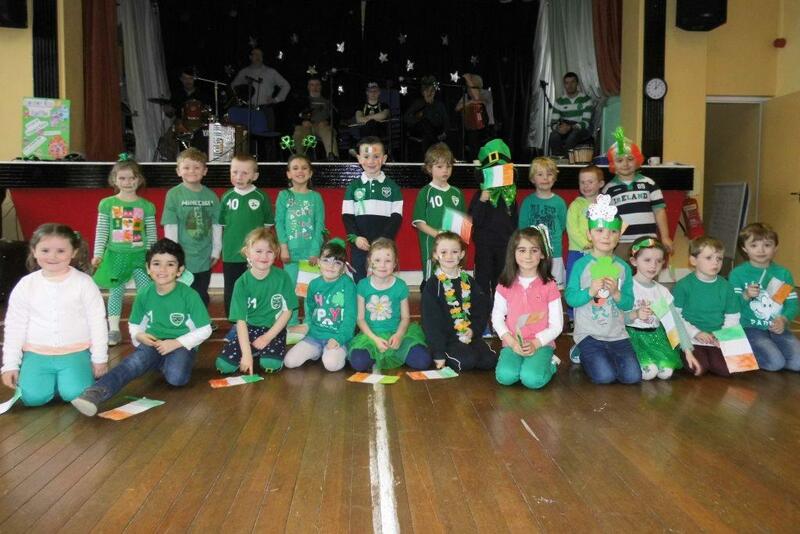 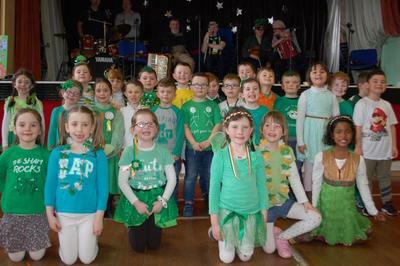 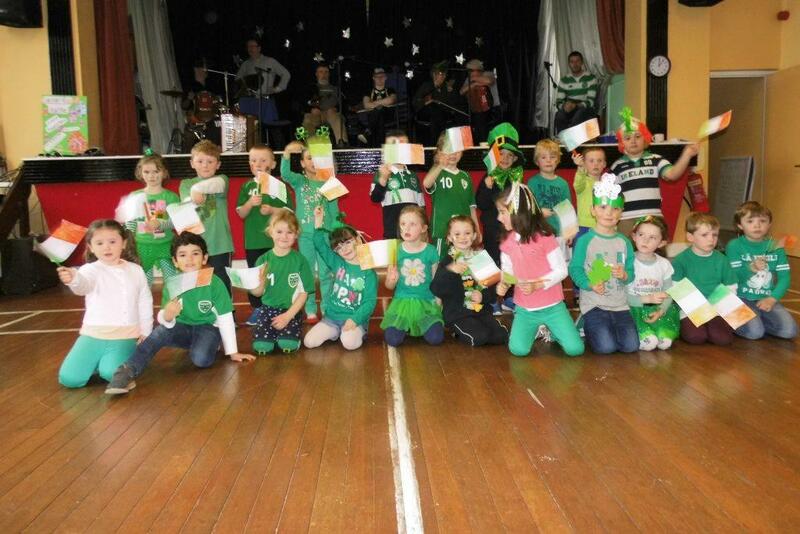 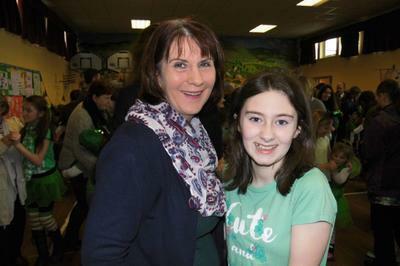 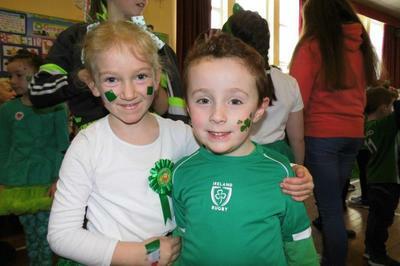 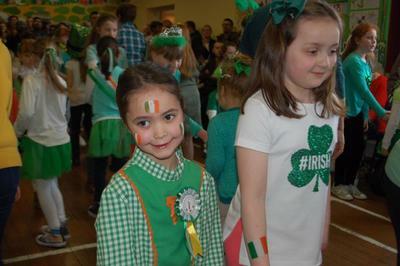 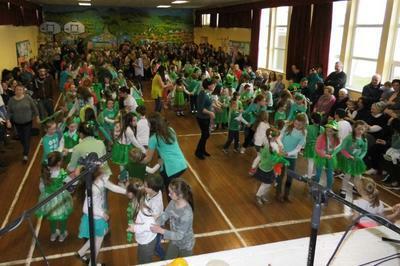 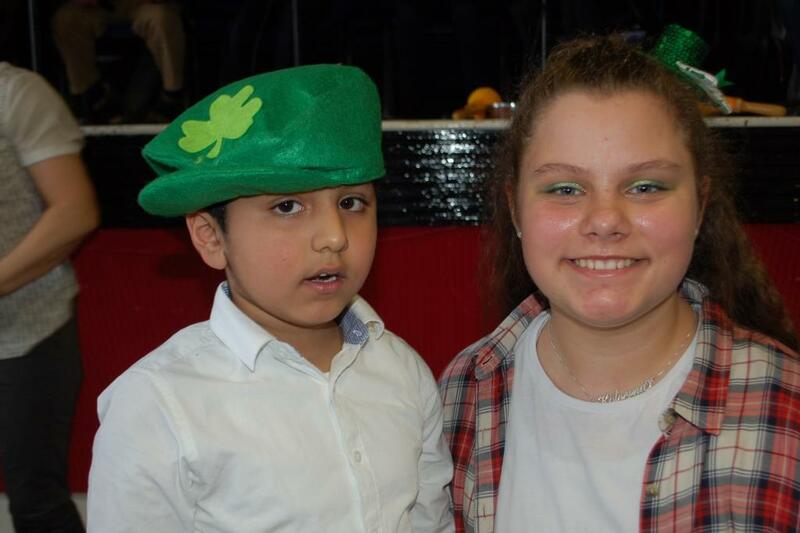 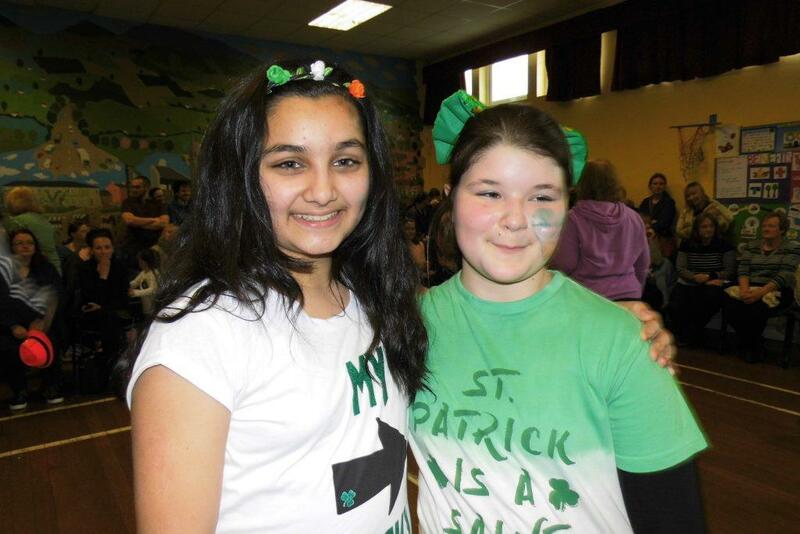 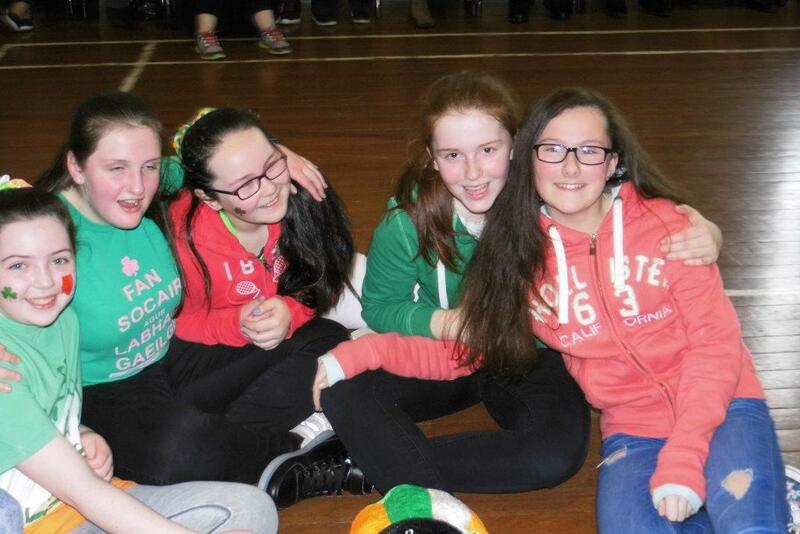 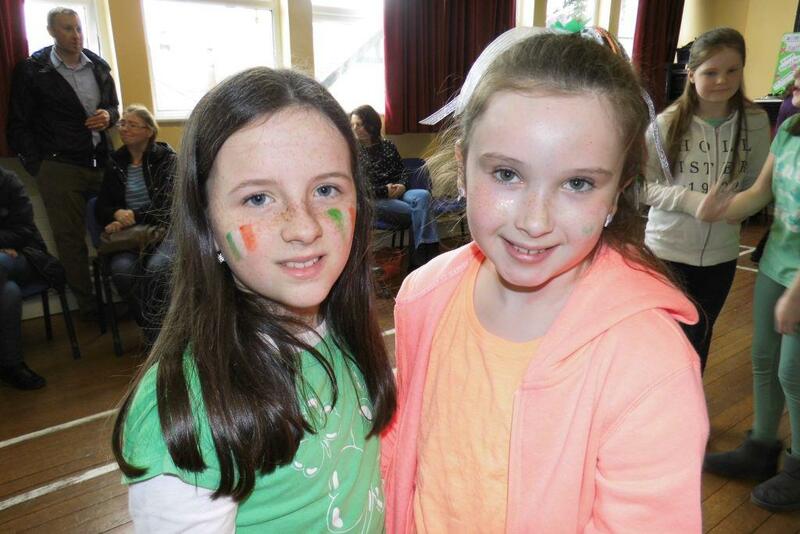 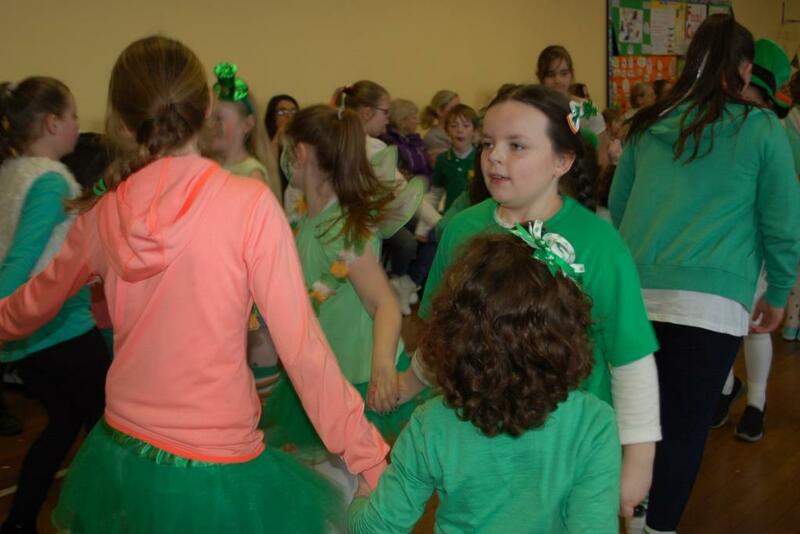 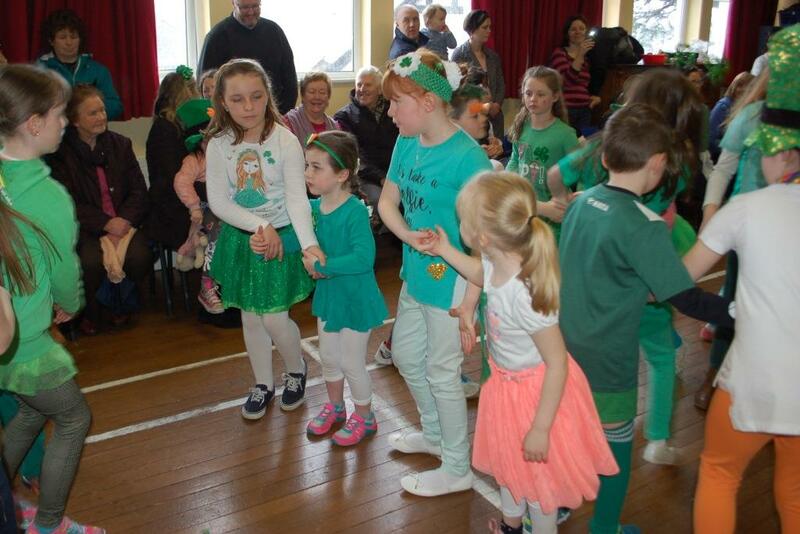 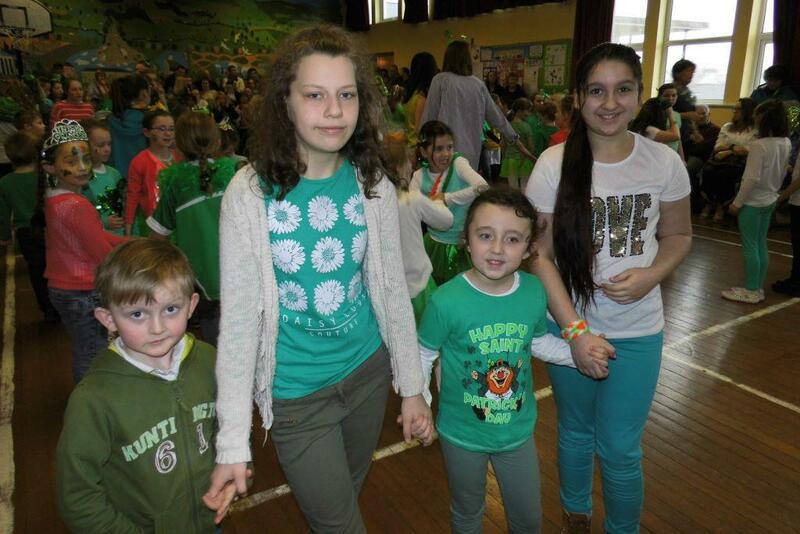 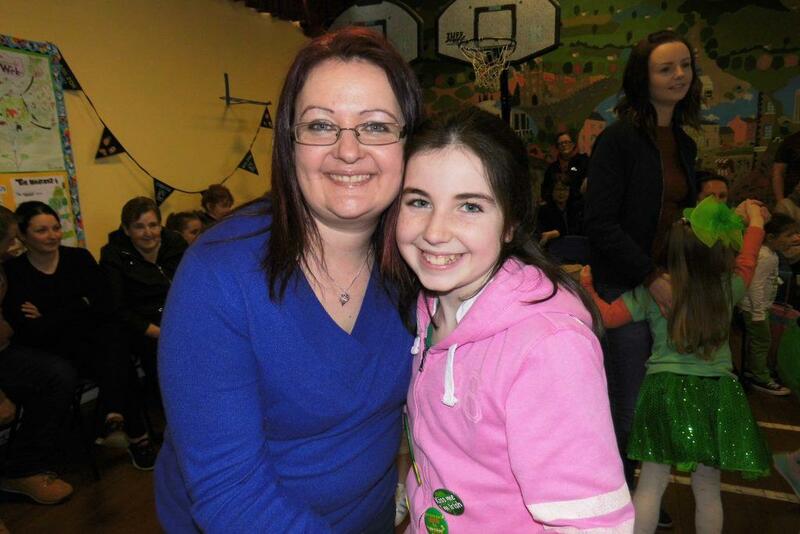 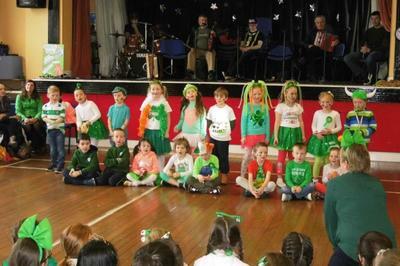 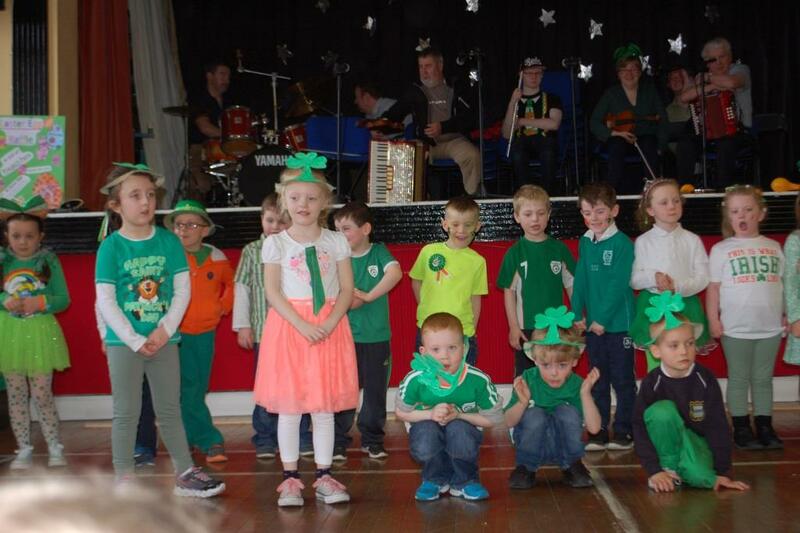 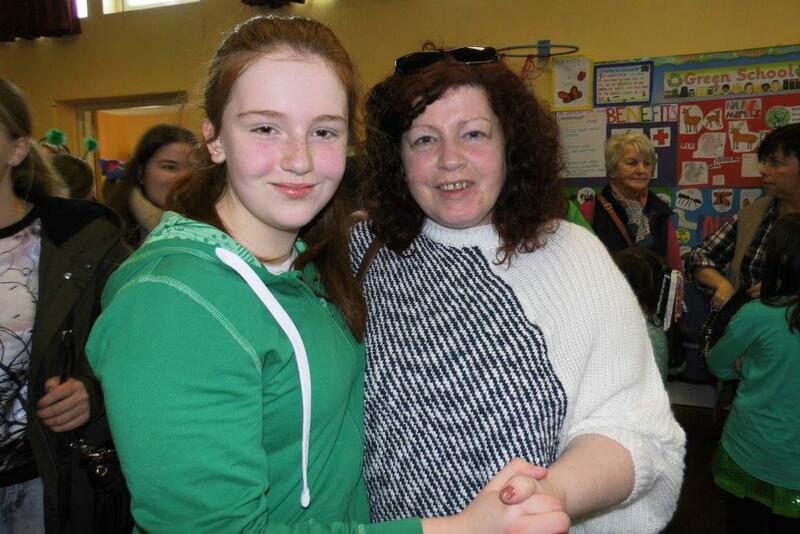 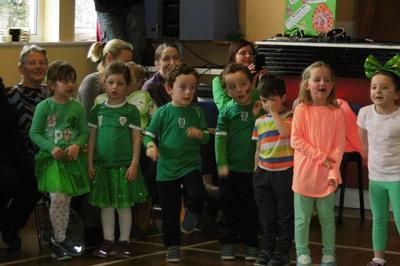 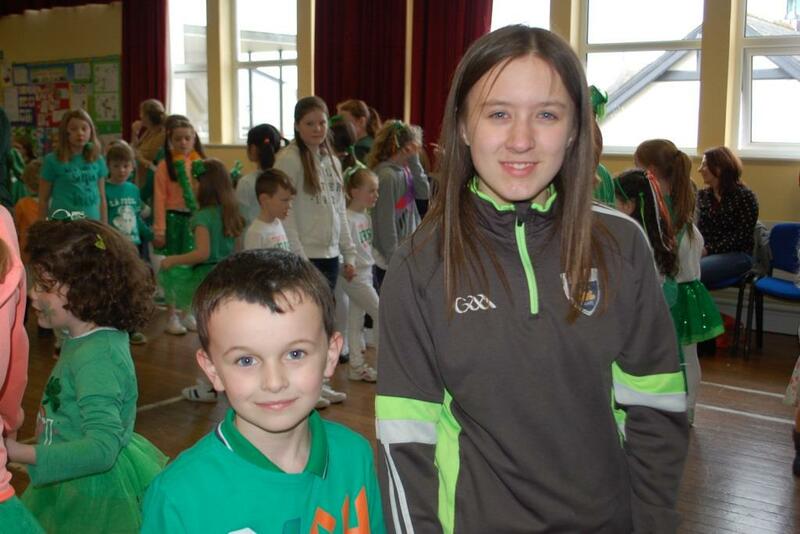 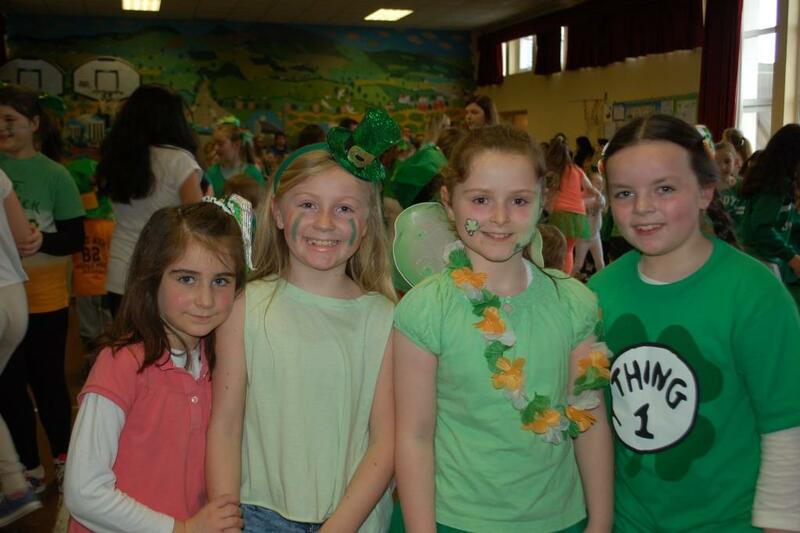 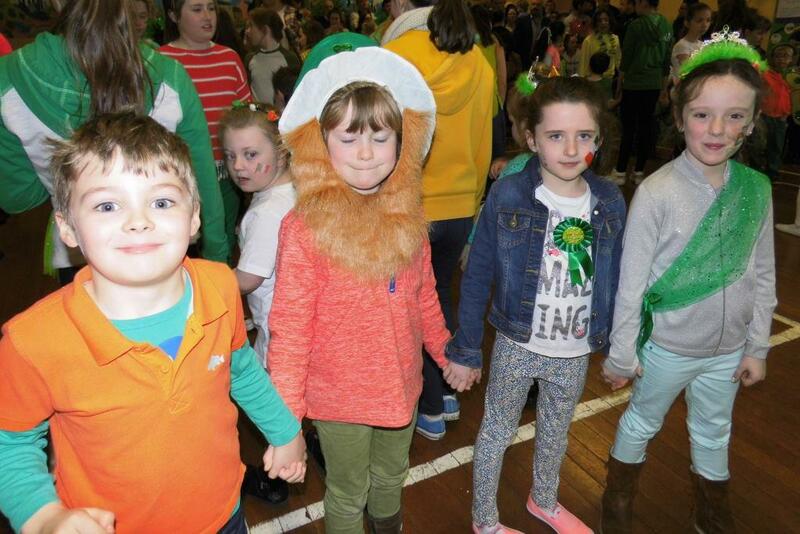 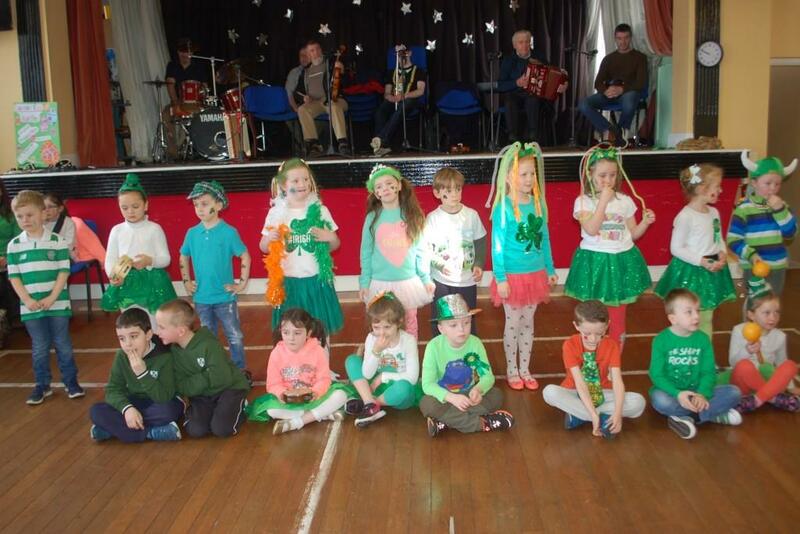 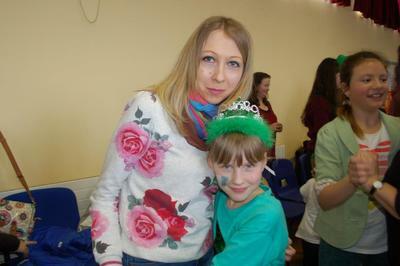 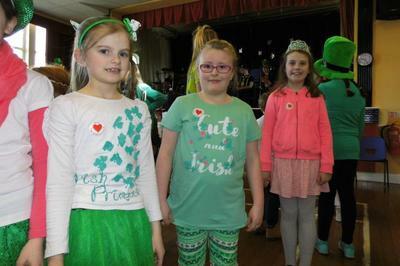 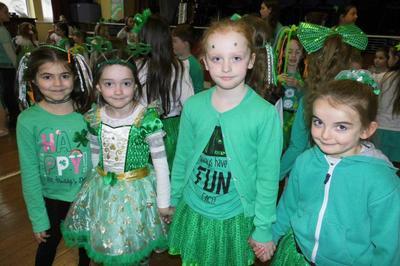 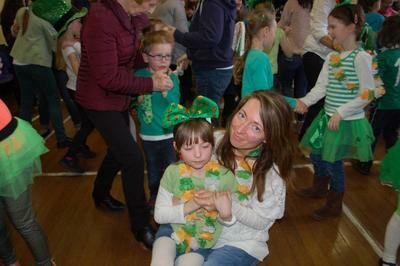 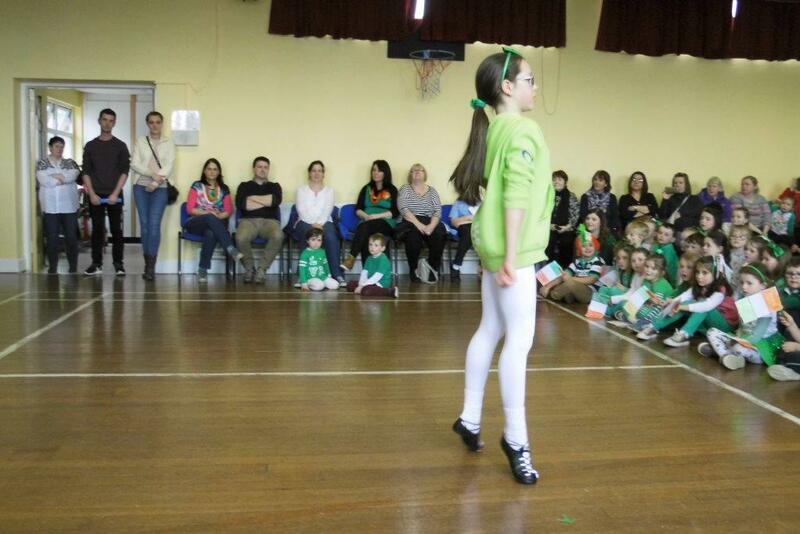 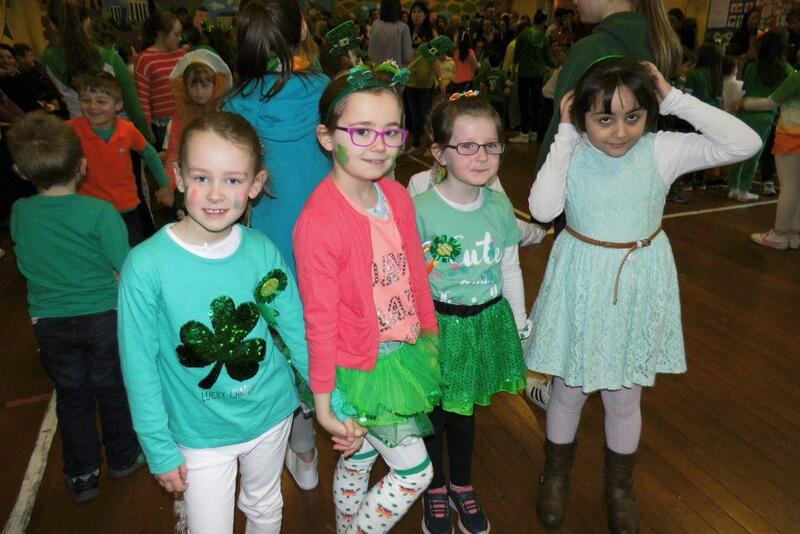 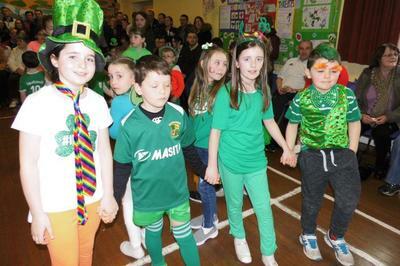 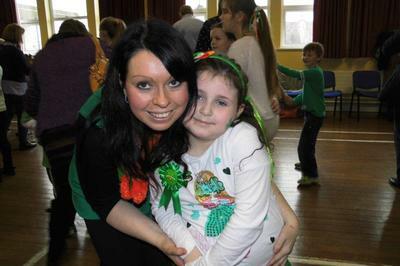 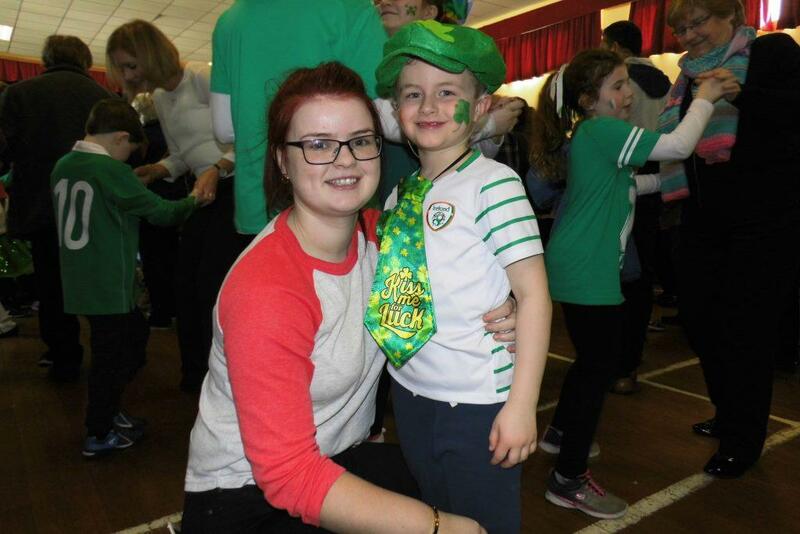 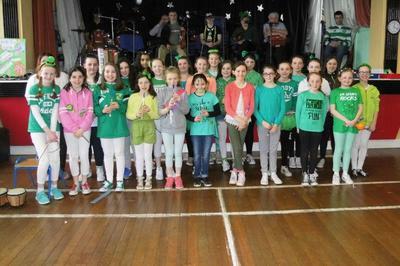 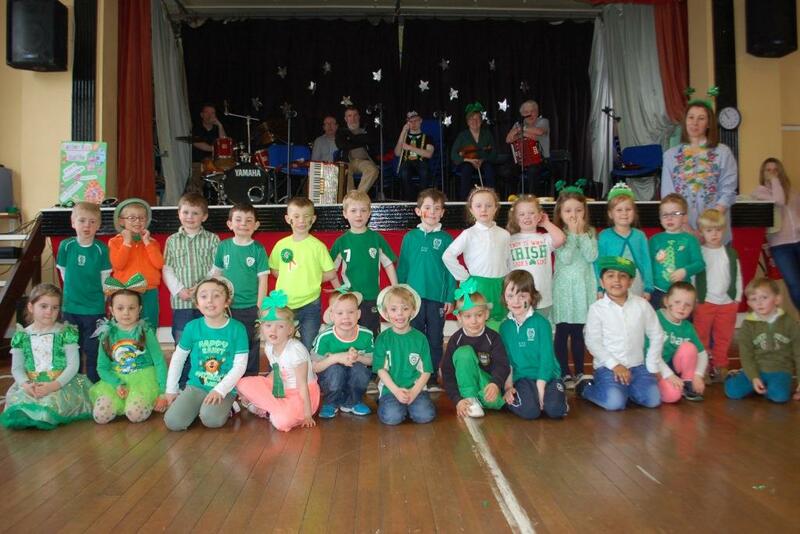 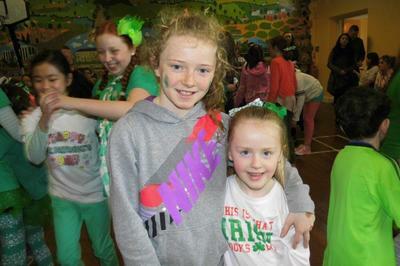 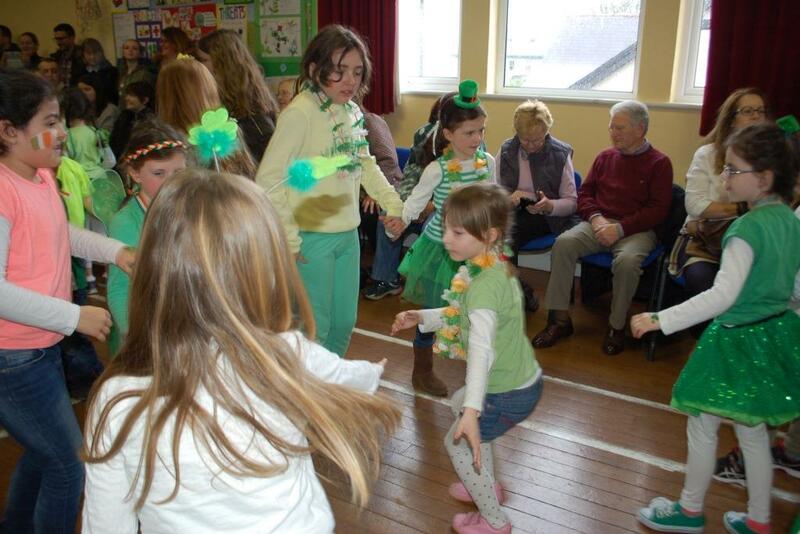 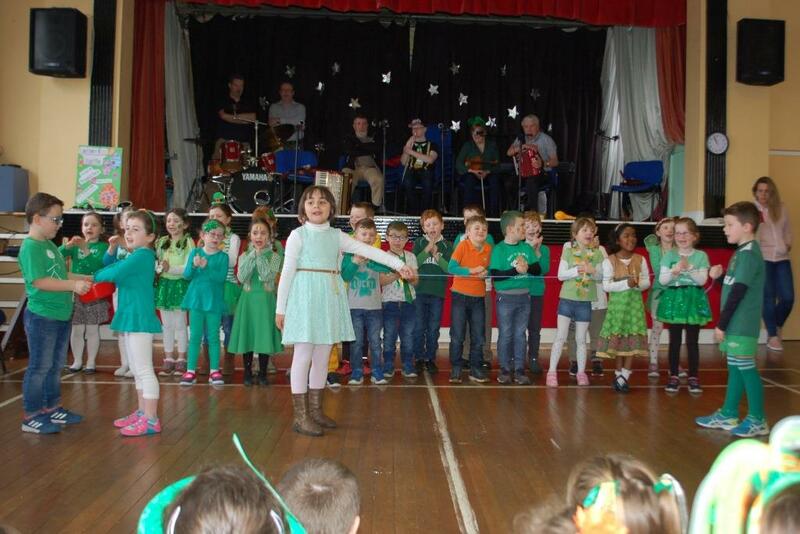 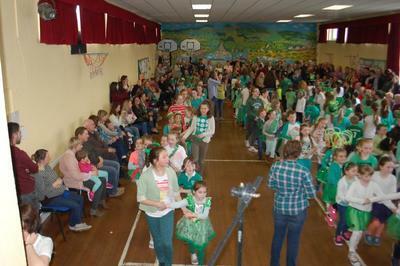 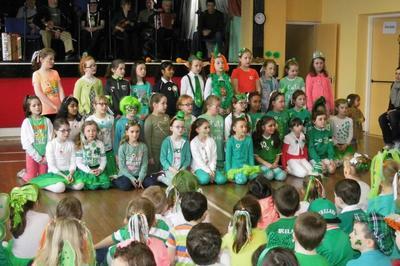 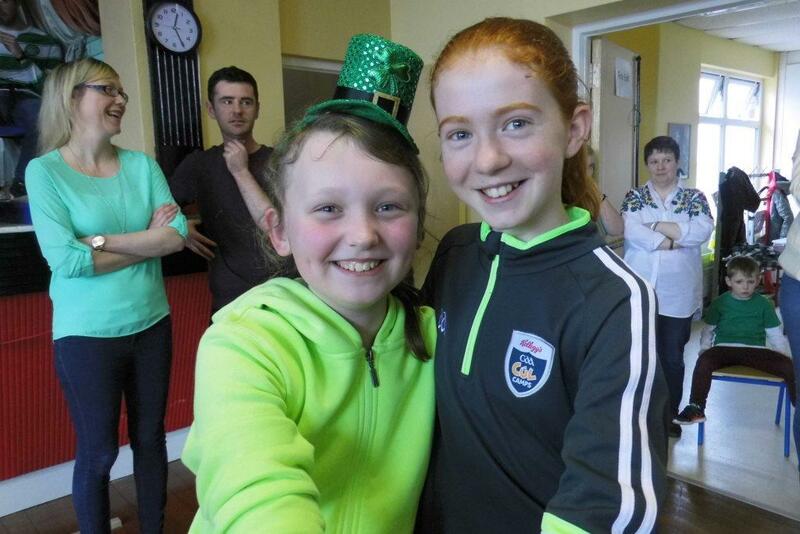 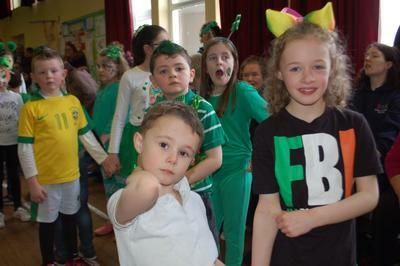 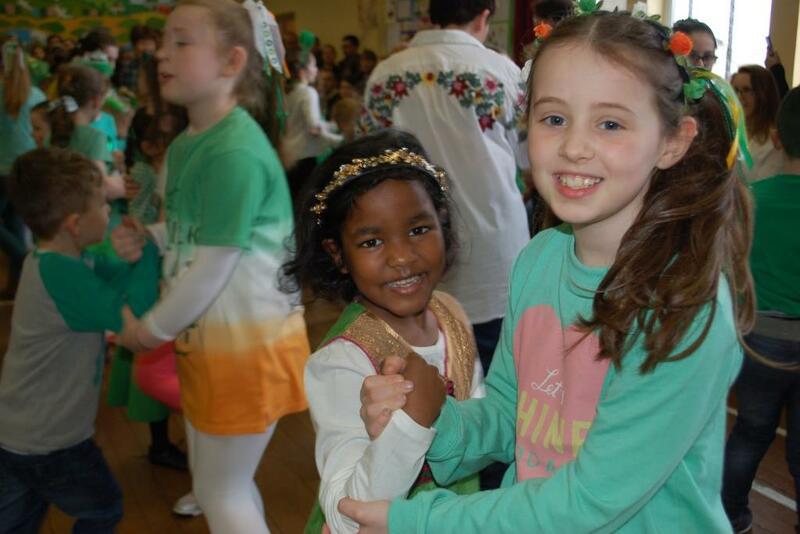 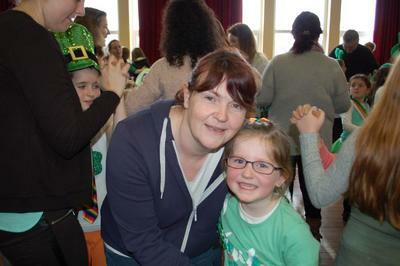 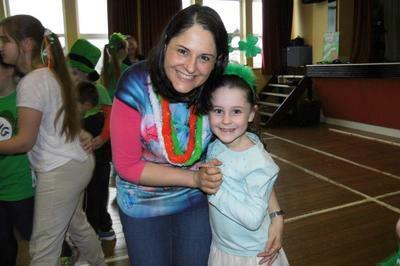 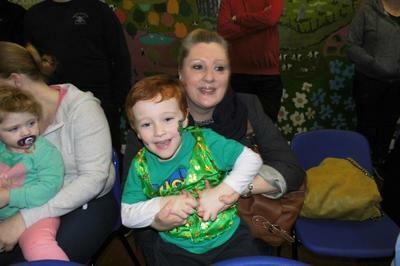 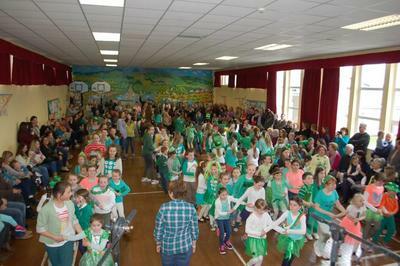 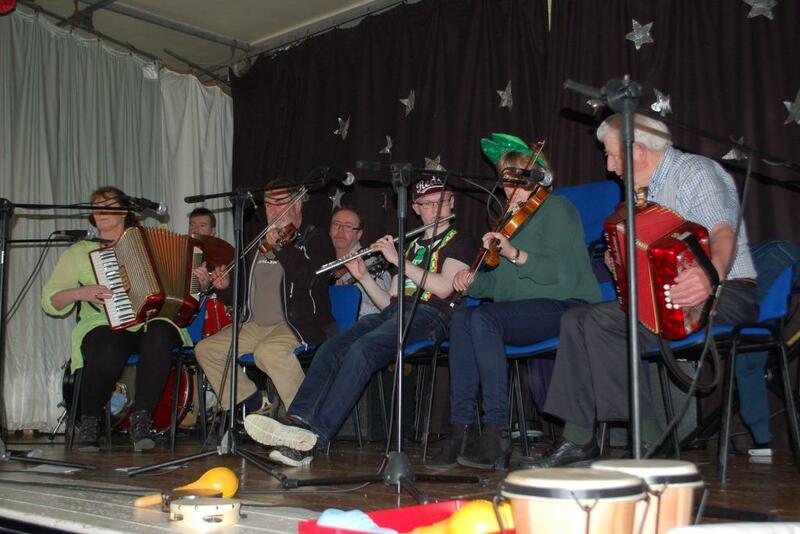 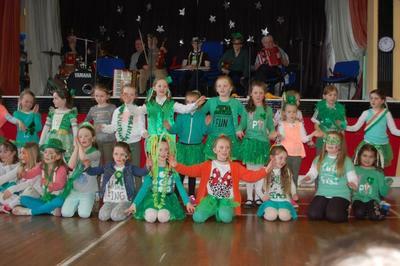 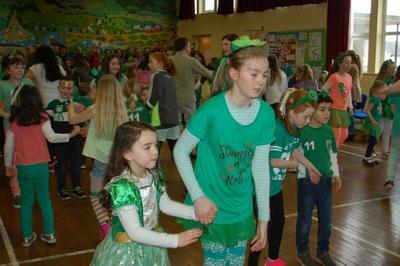 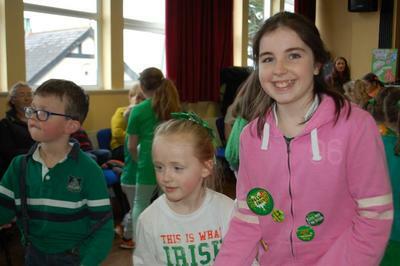 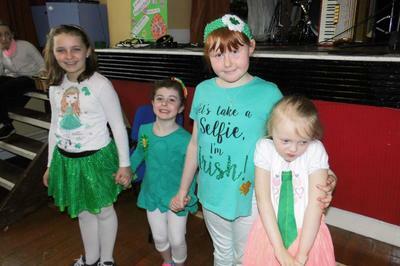 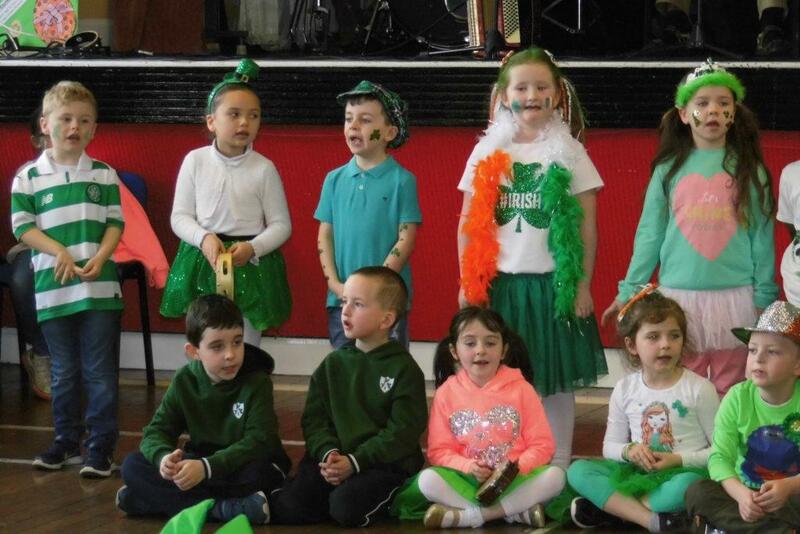 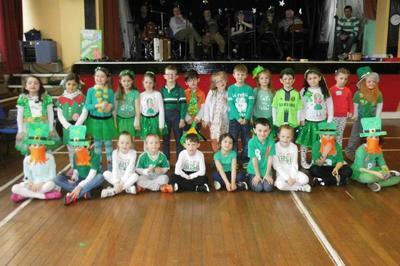 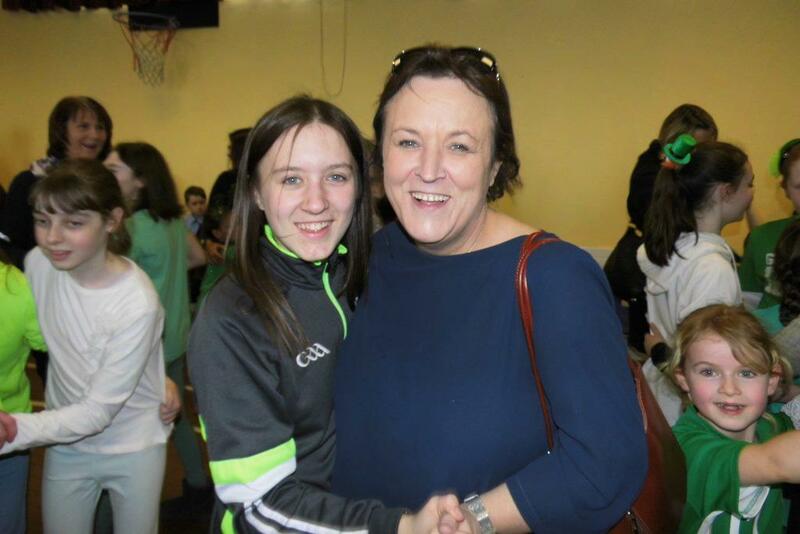 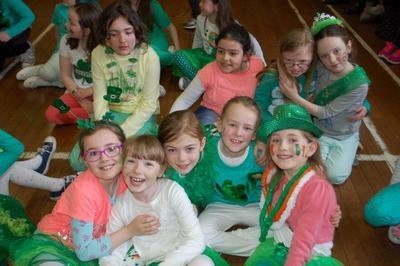 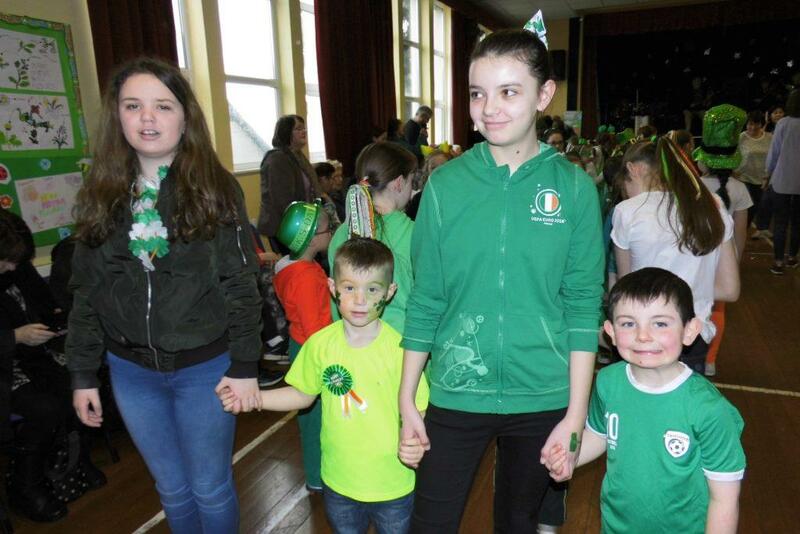 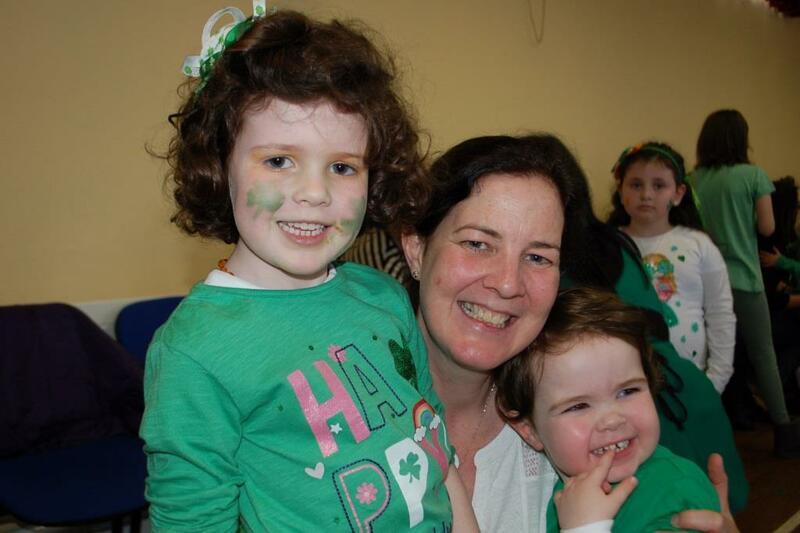 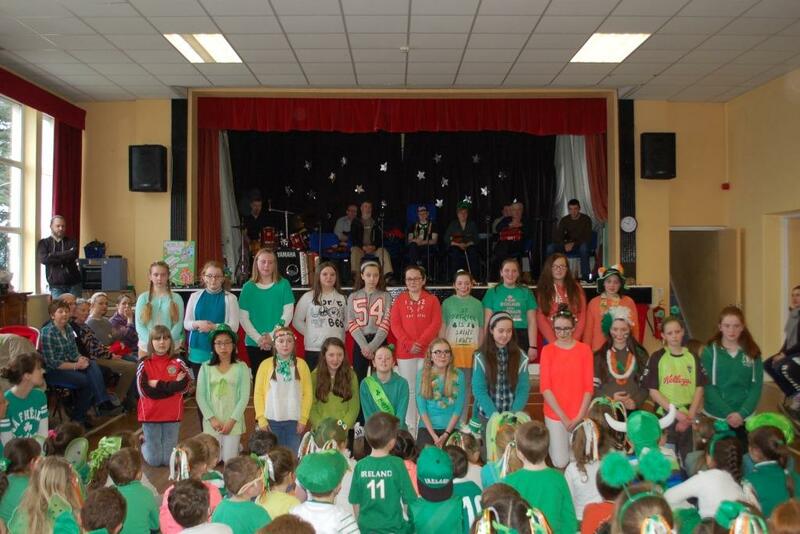 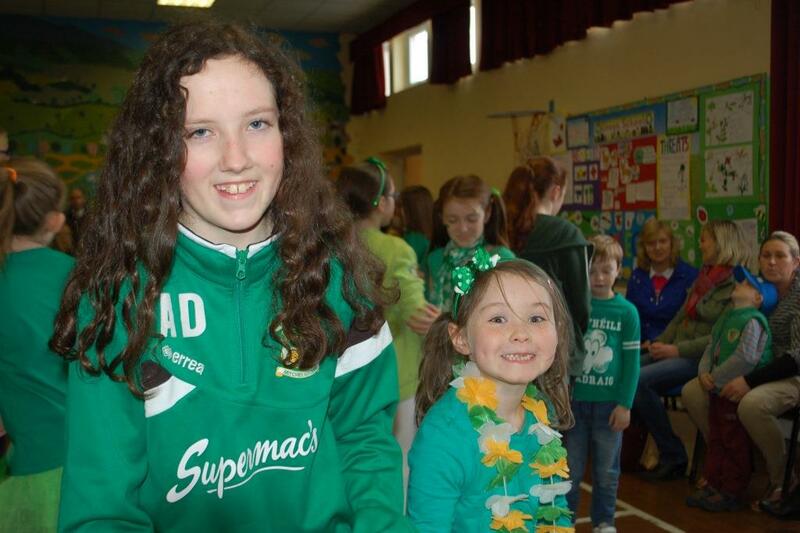 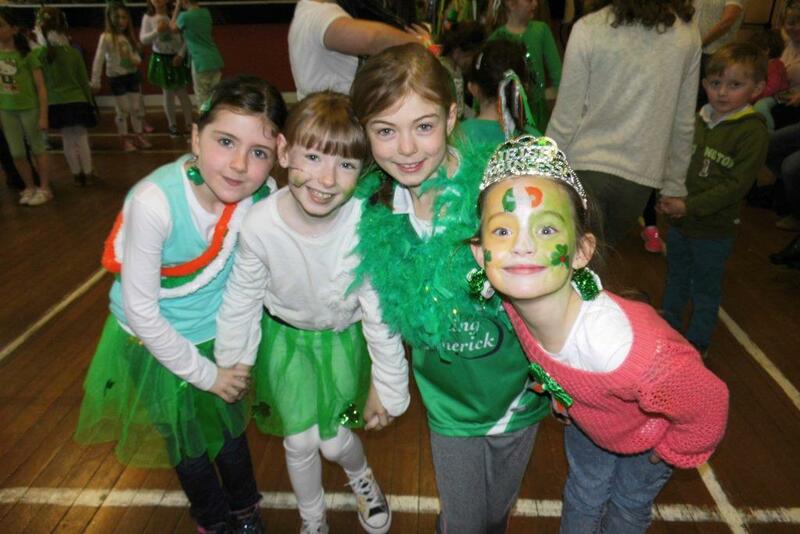 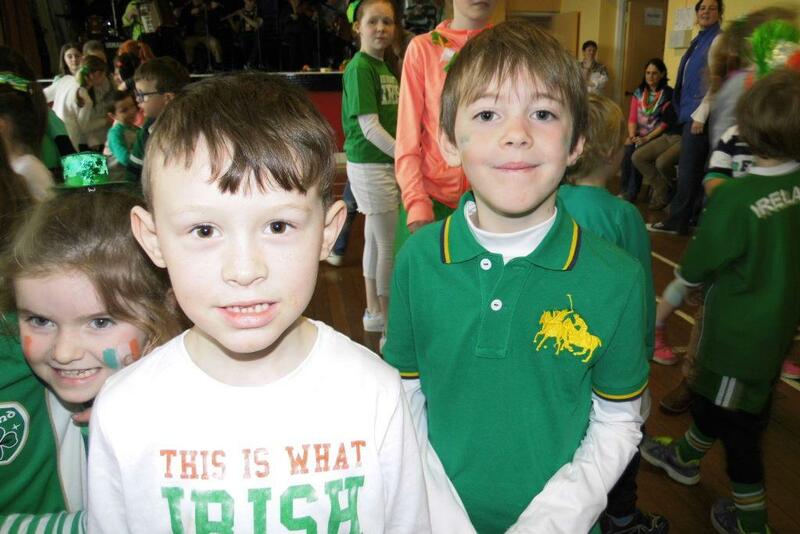 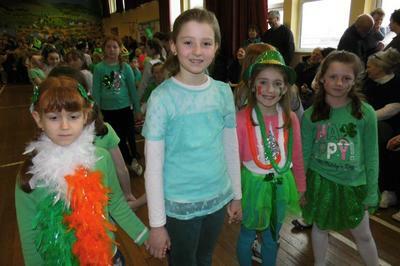 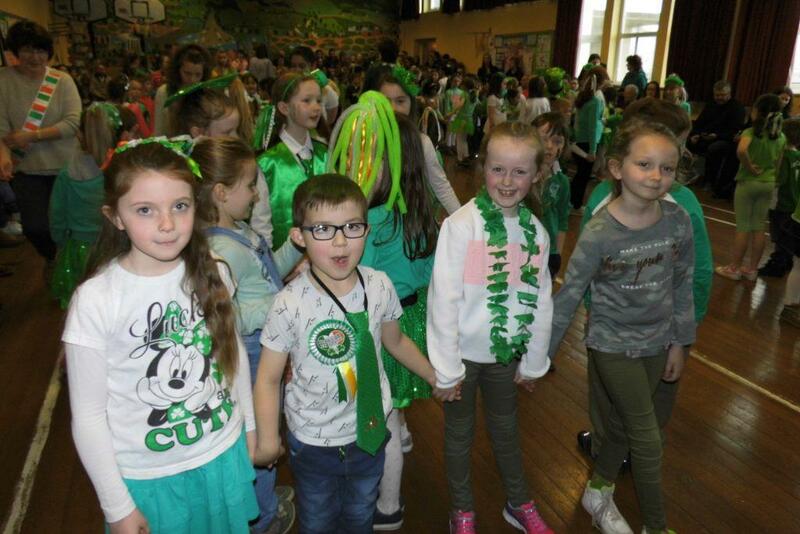 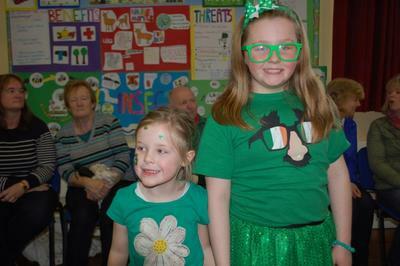 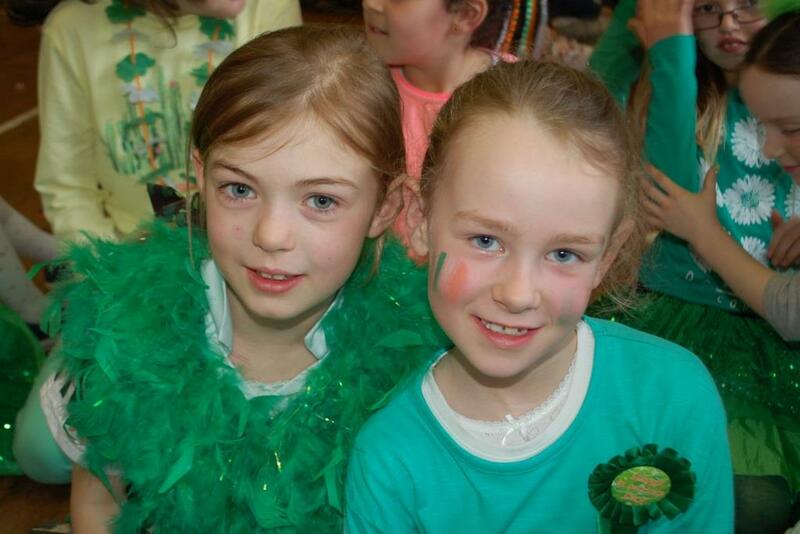 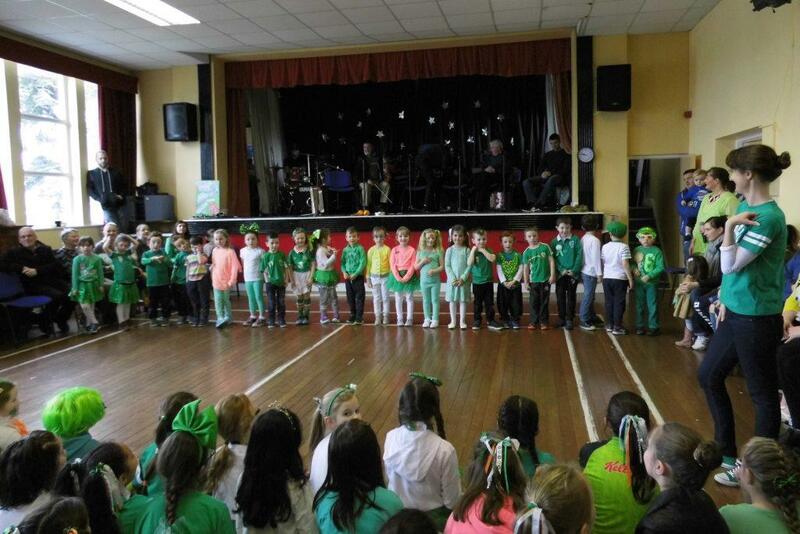 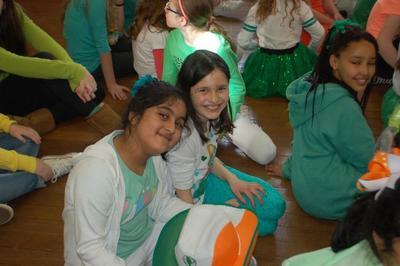 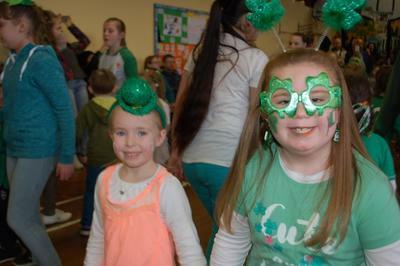 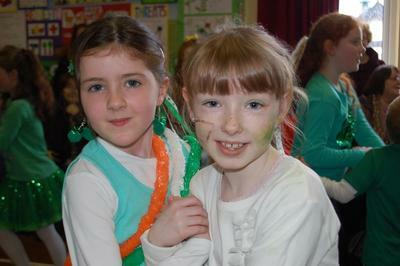 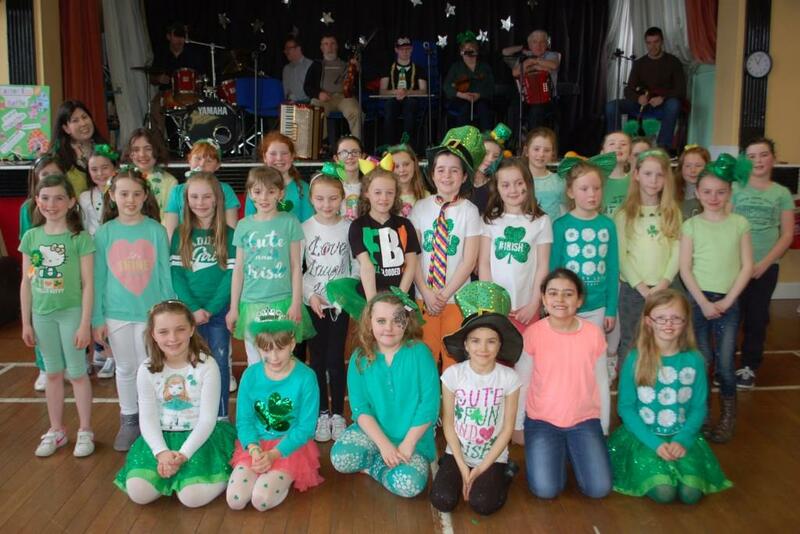 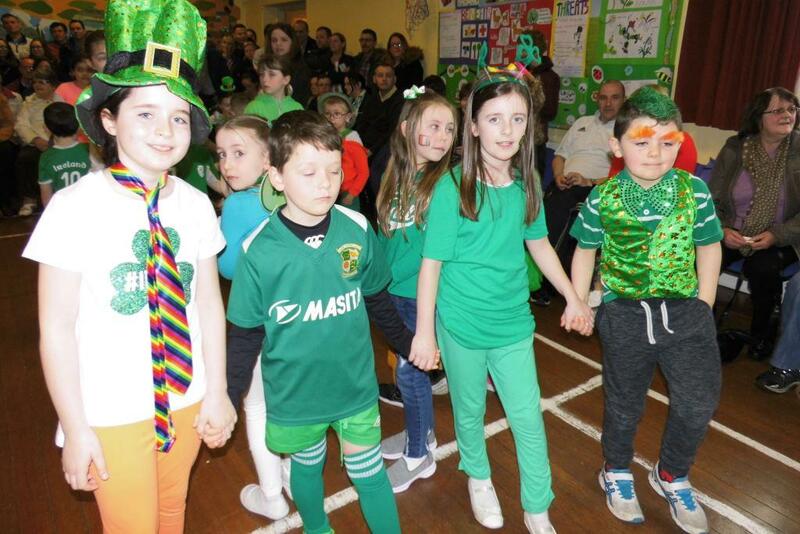 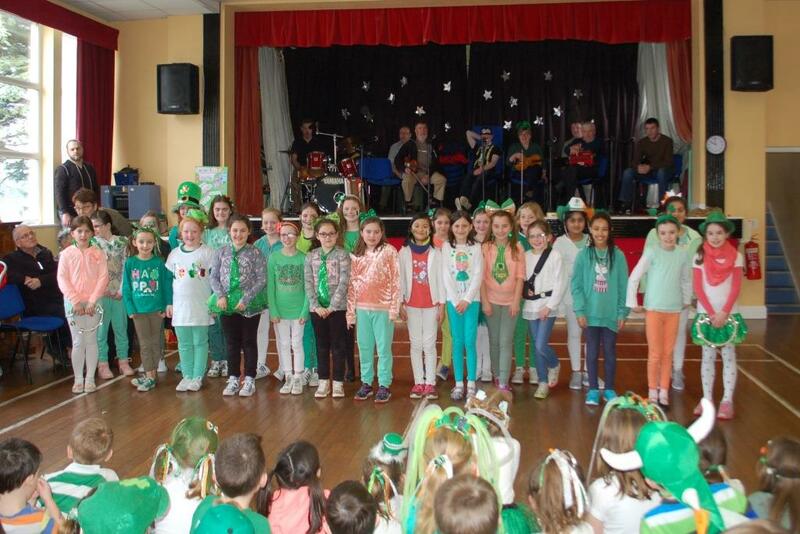 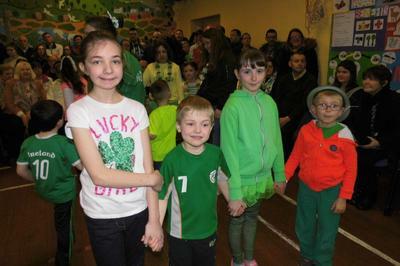 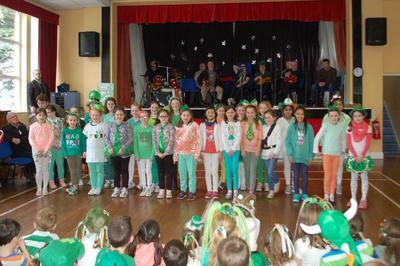 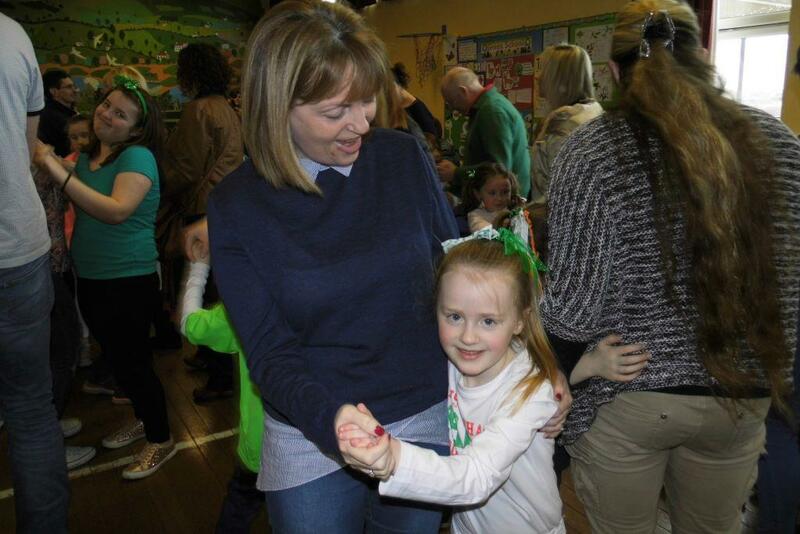 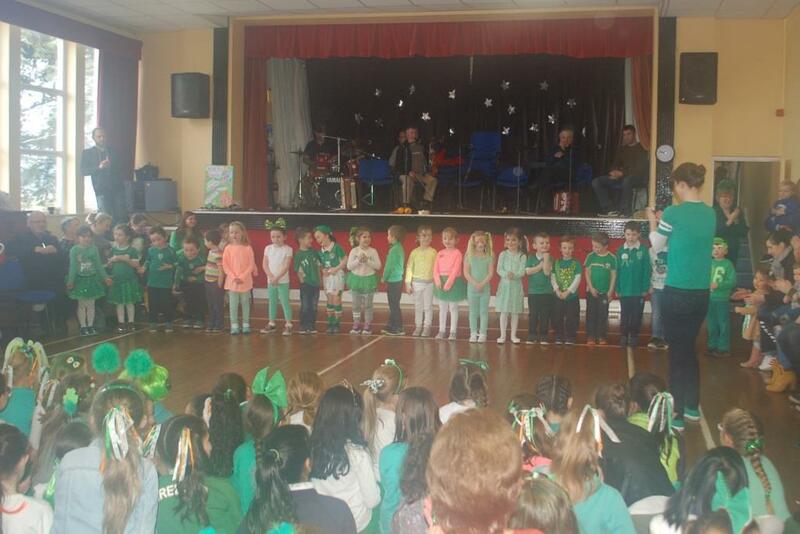 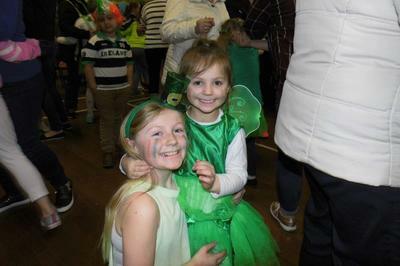 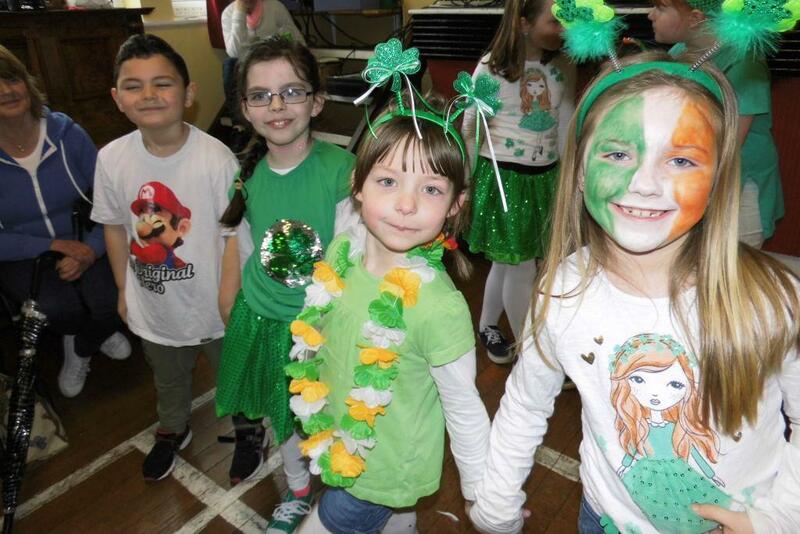 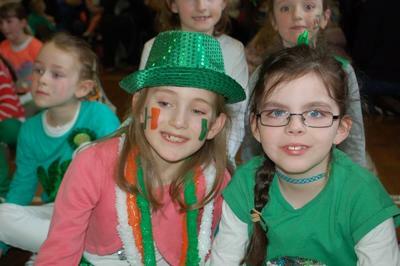 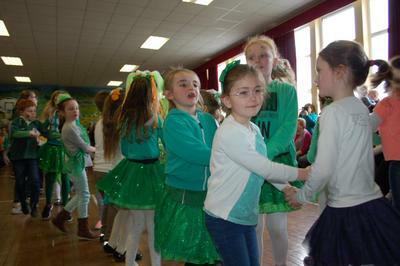 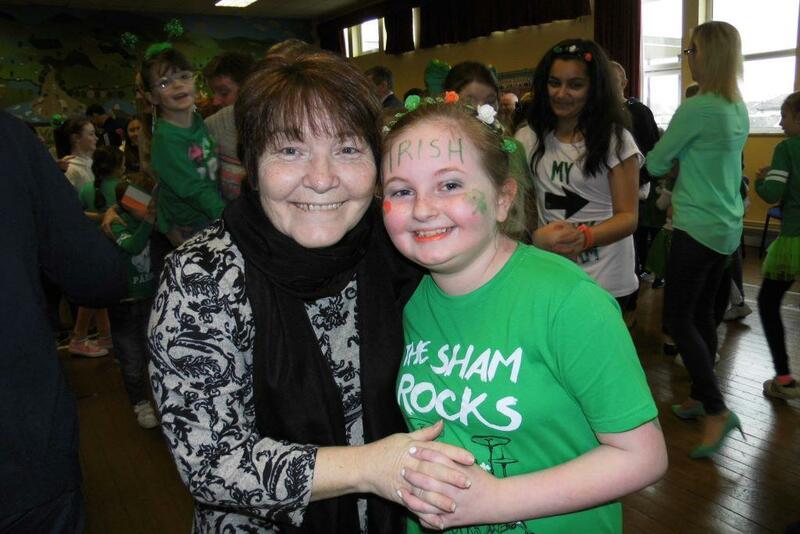 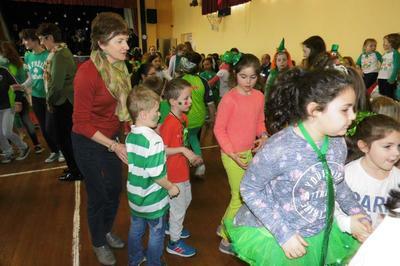 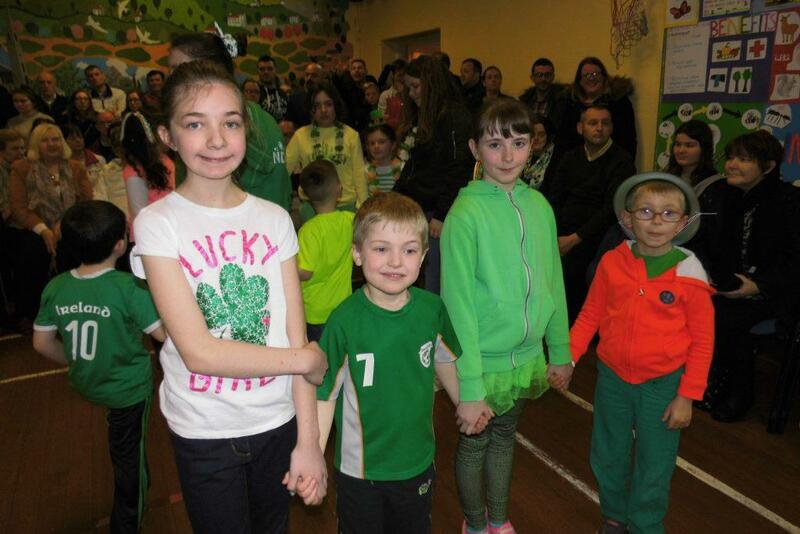 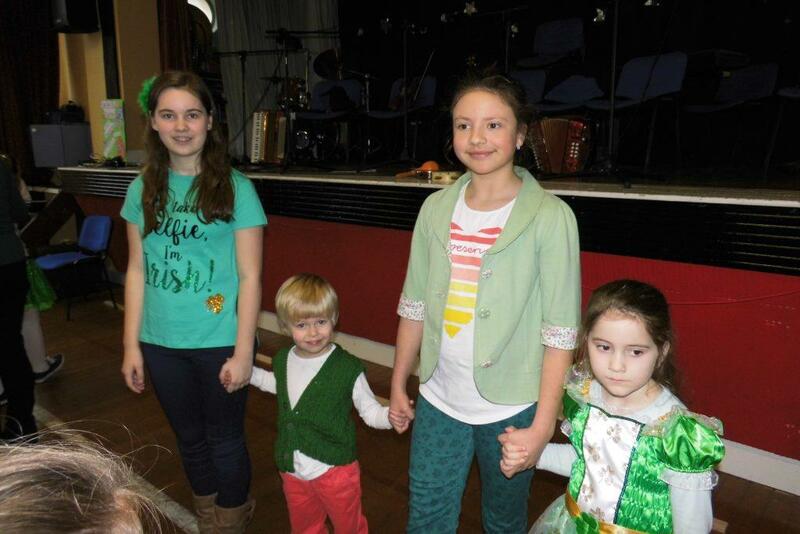 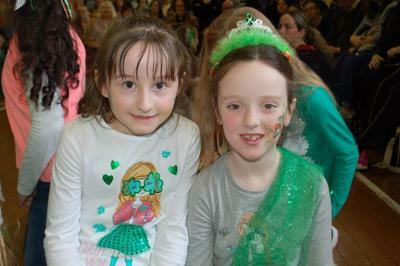 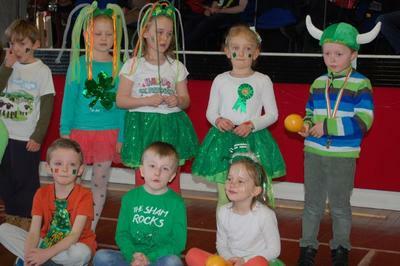 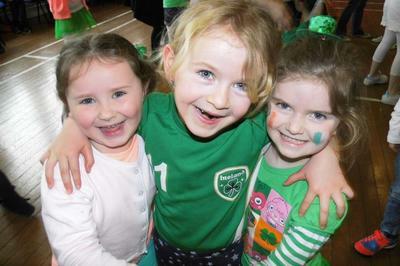 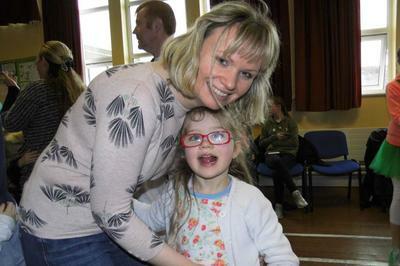 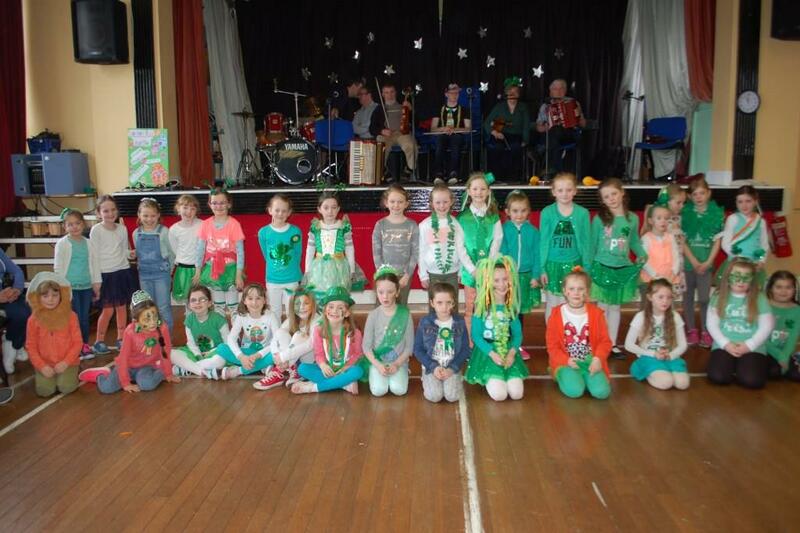 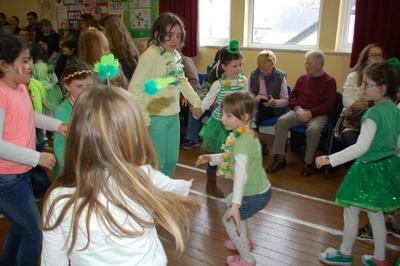 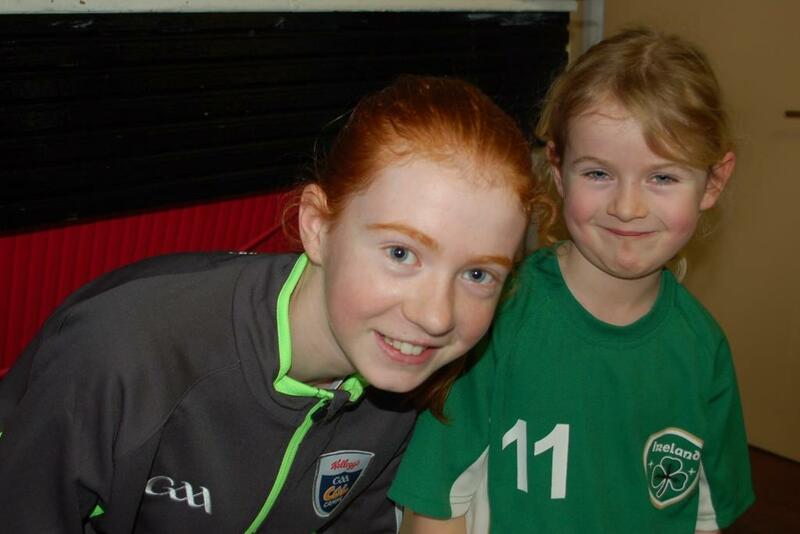 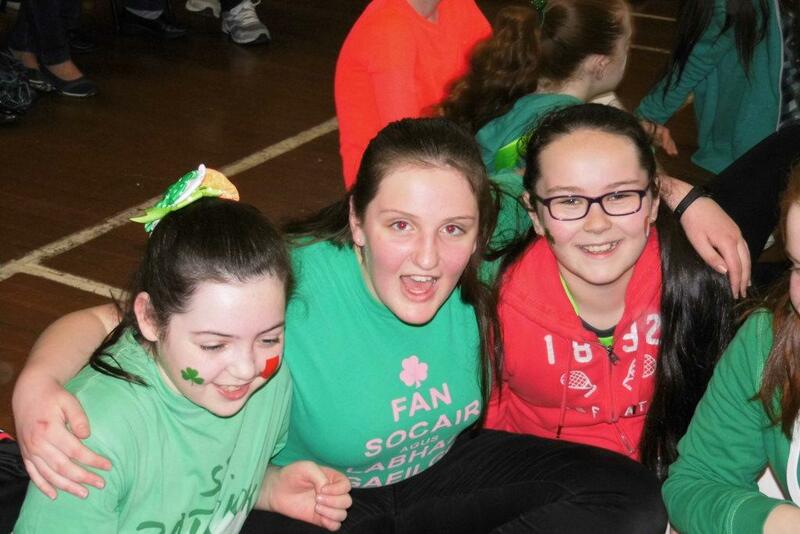 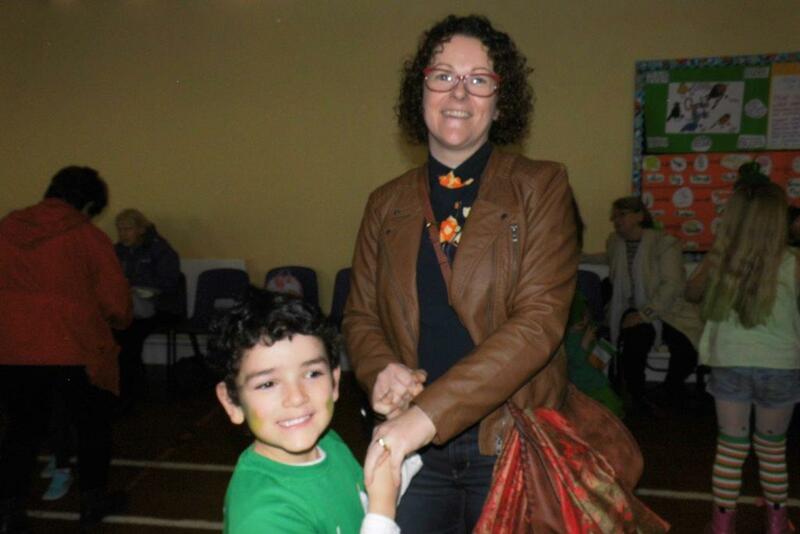 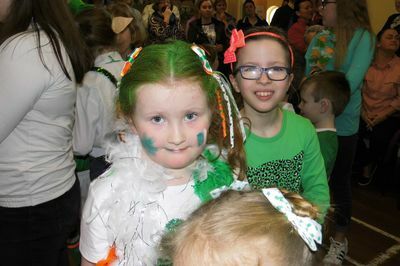 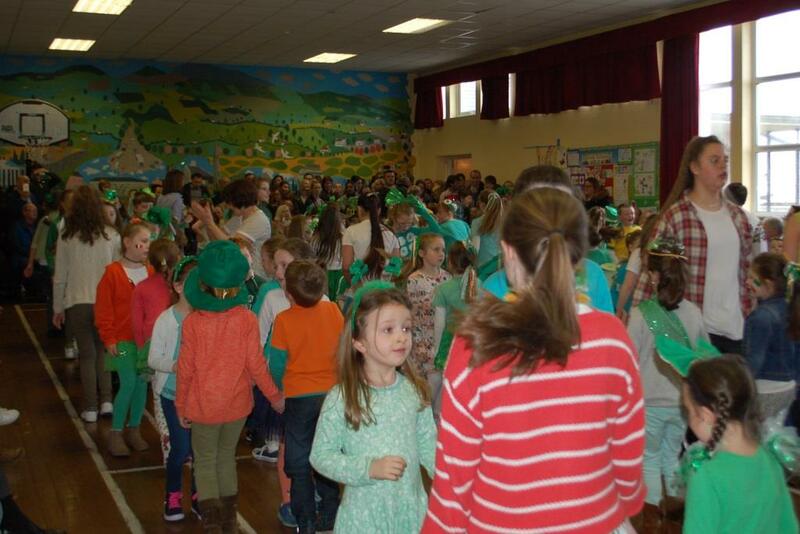 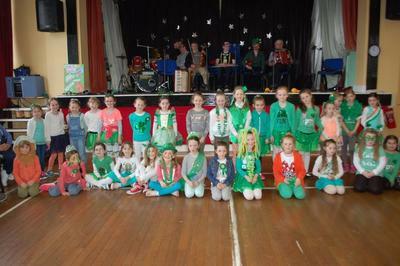 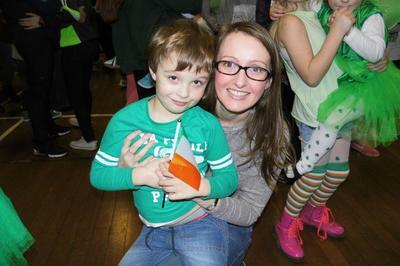 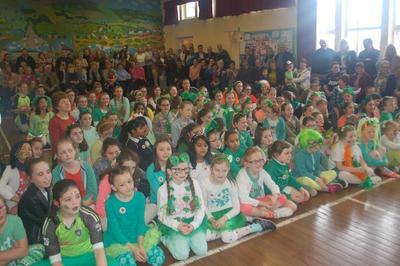 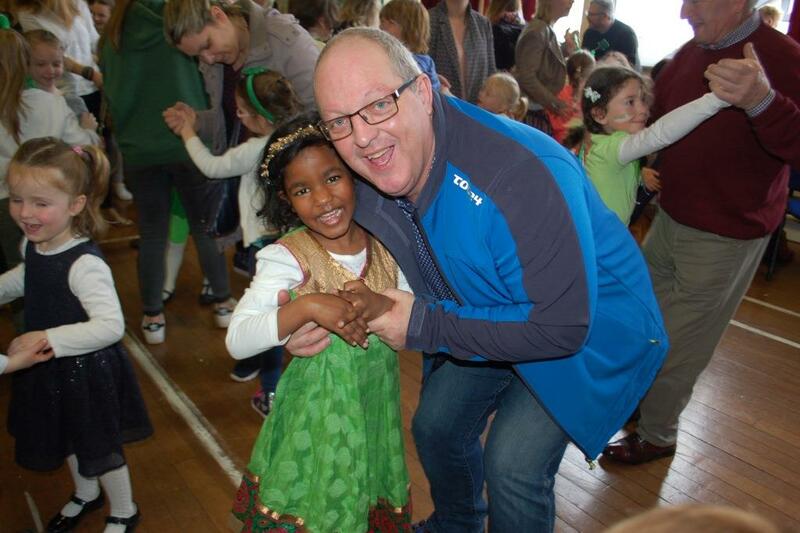 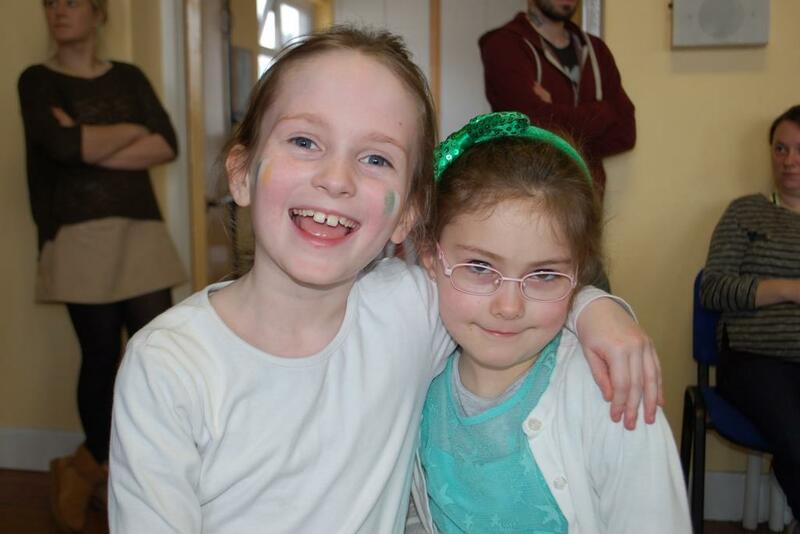 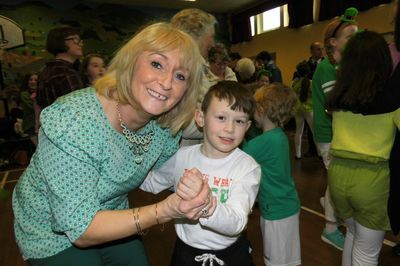 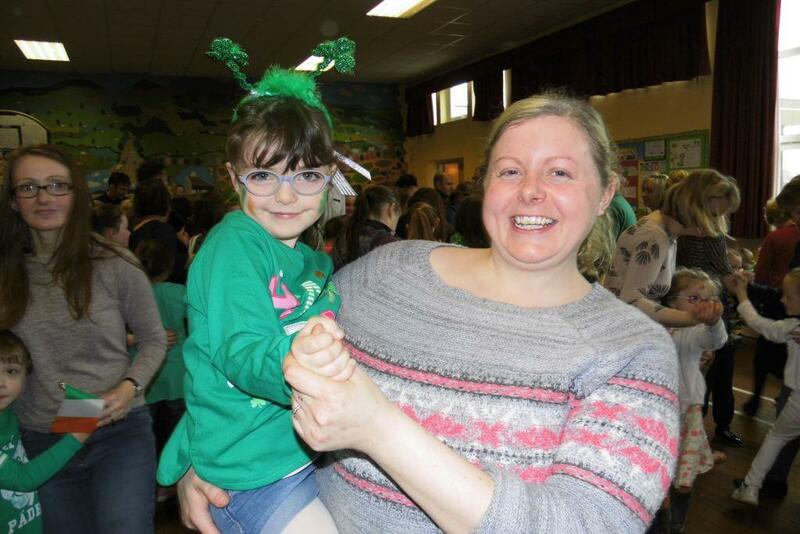 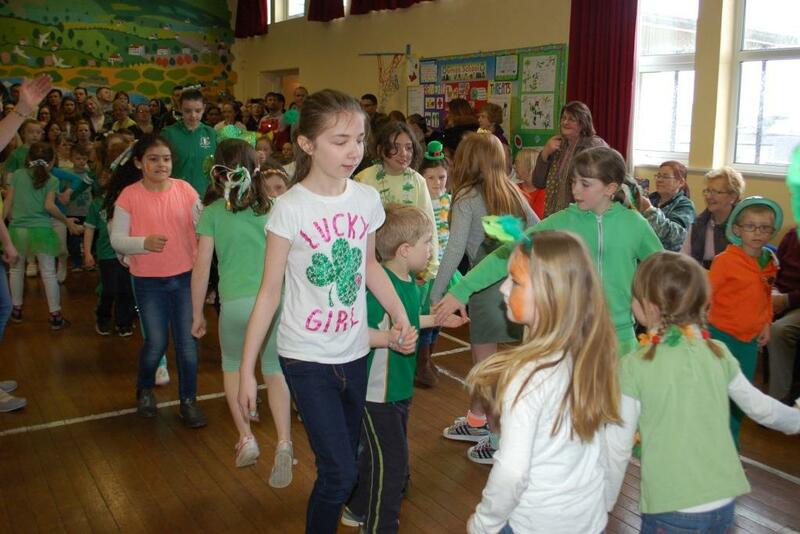 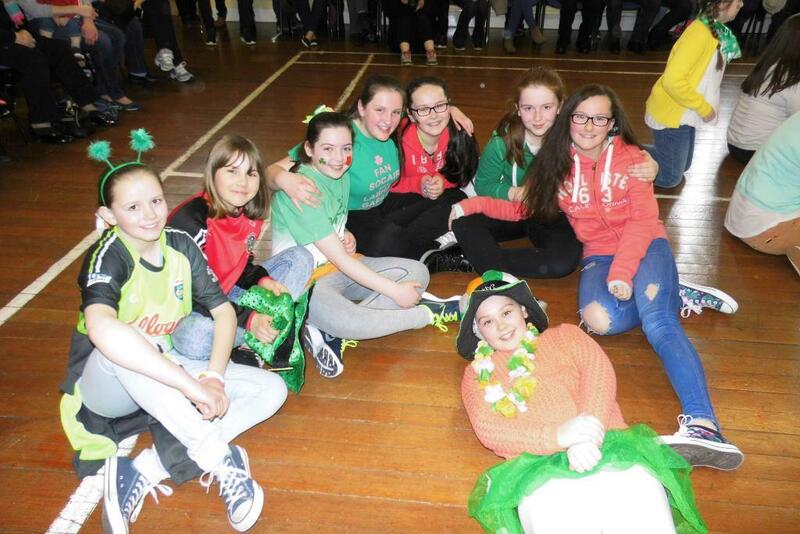 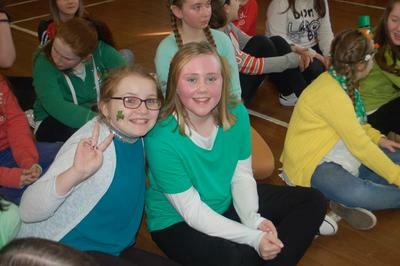 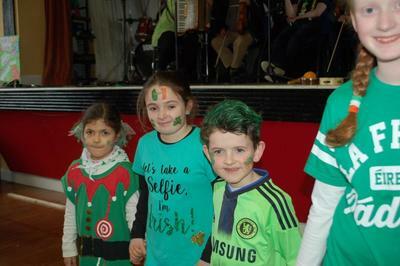 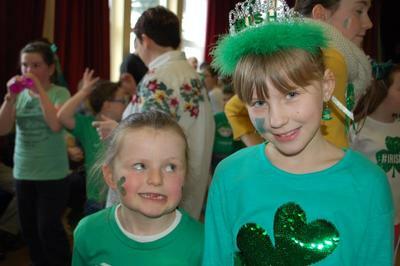 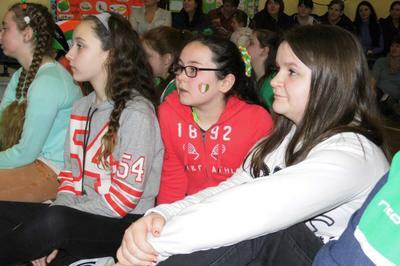 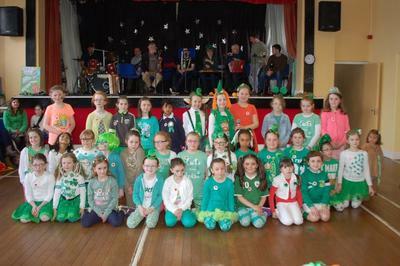 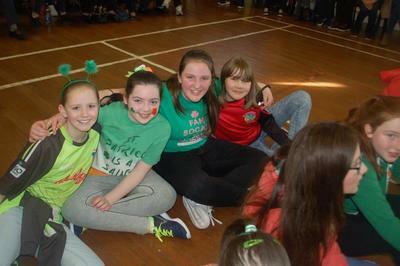 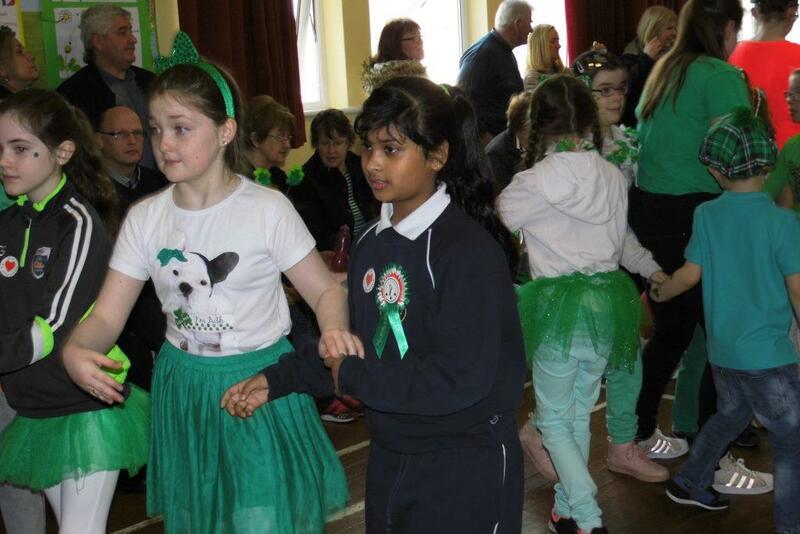 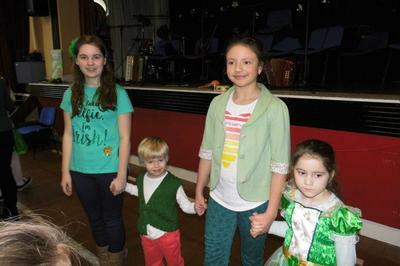 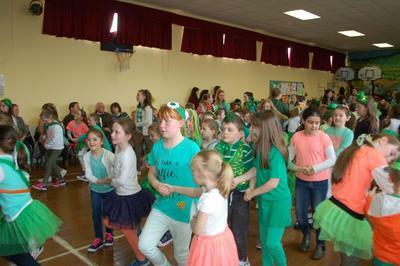 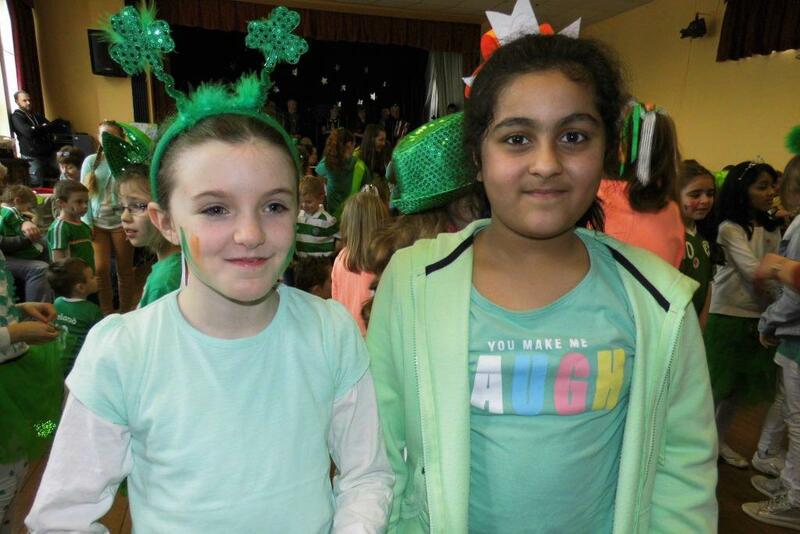 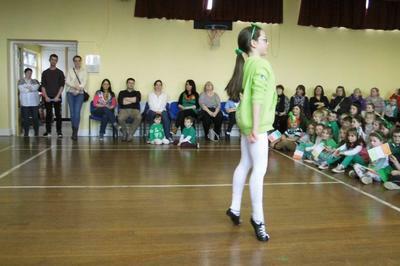 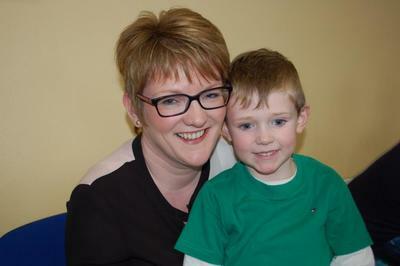 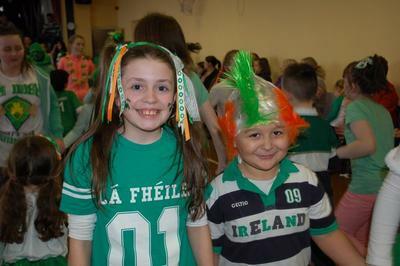 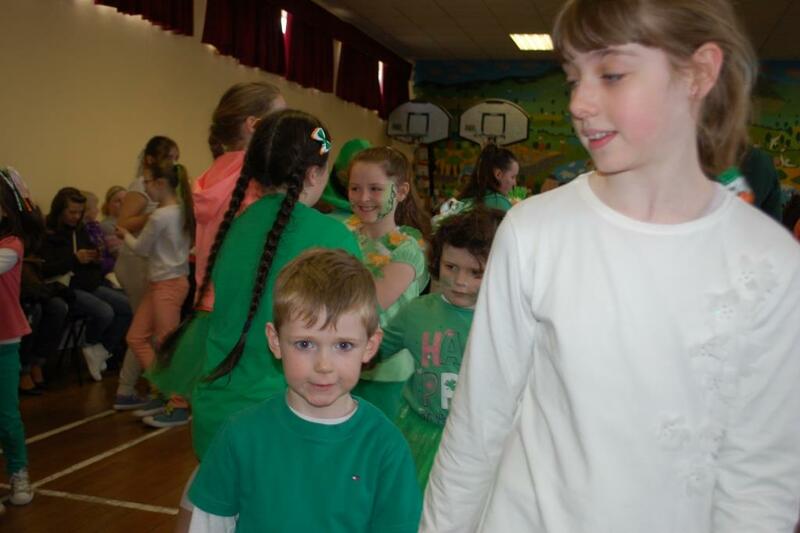 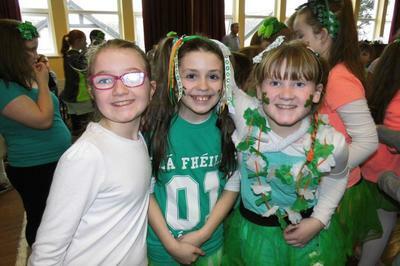 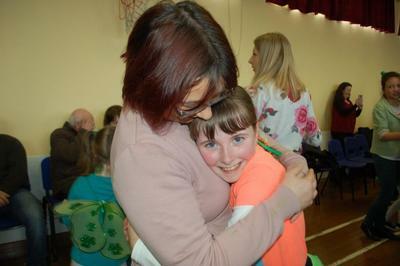 On Thursday March 16th we held our annual school céili in the halla. Every class had been busy preparing for the event and it was a resounding success. Well done to all the boys and girls and their teachers for their performances on the day. 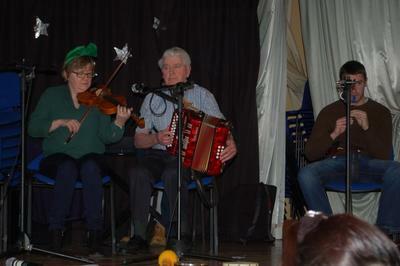 Huge thanks must go to the musicians who provided us with the live traditional music for the three céilís- Ms Hayes-Brennan on piano accordion, Ms Watson on fiddle, Liam Roche on fiddle, Paul Finn on drums, Mr Wallace on the piano, Odhran Hayes-Brennan on the flute, Jim Nash on the fiddle, Mr O'Cinnéide on the guitar and Mr Fogarty on the tin whistle and the uilleann pipes. 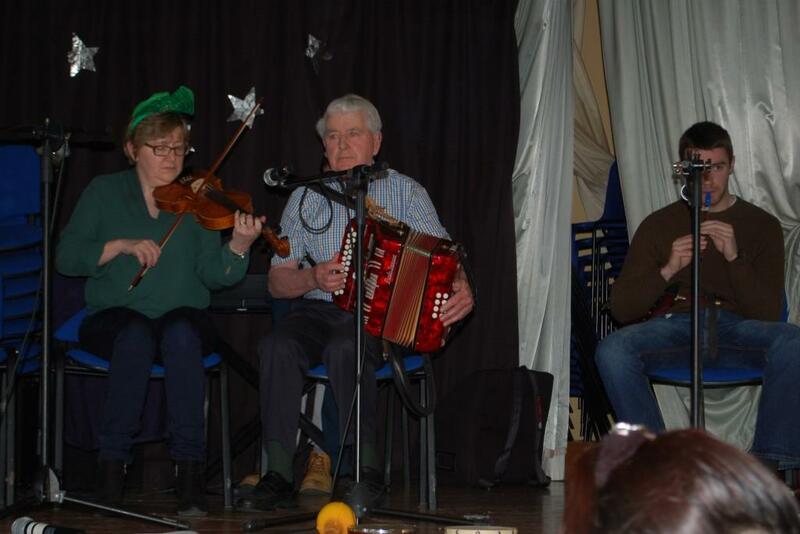 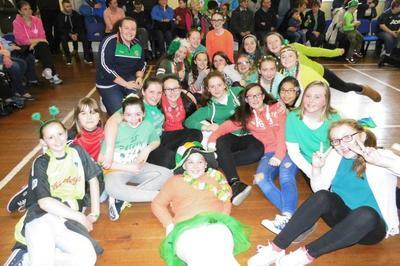 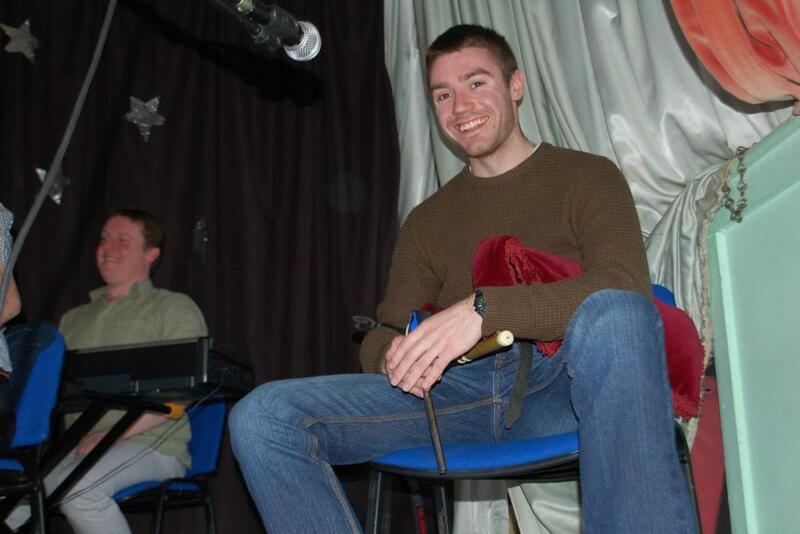 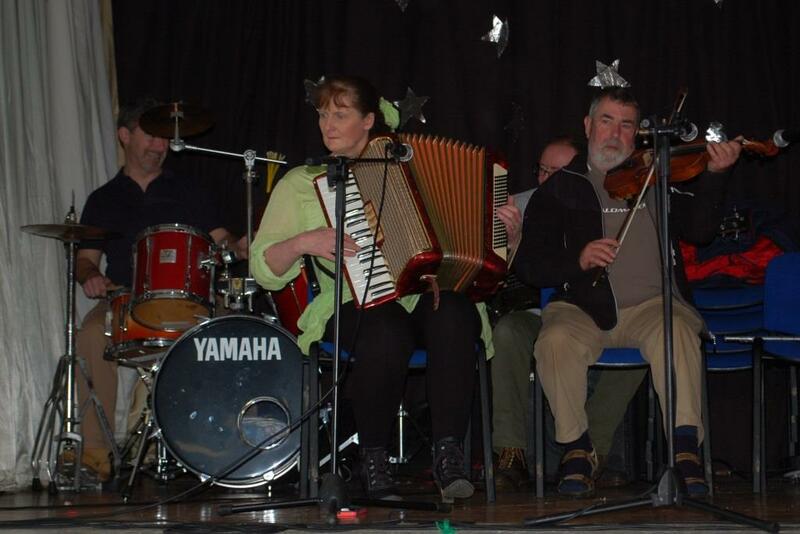 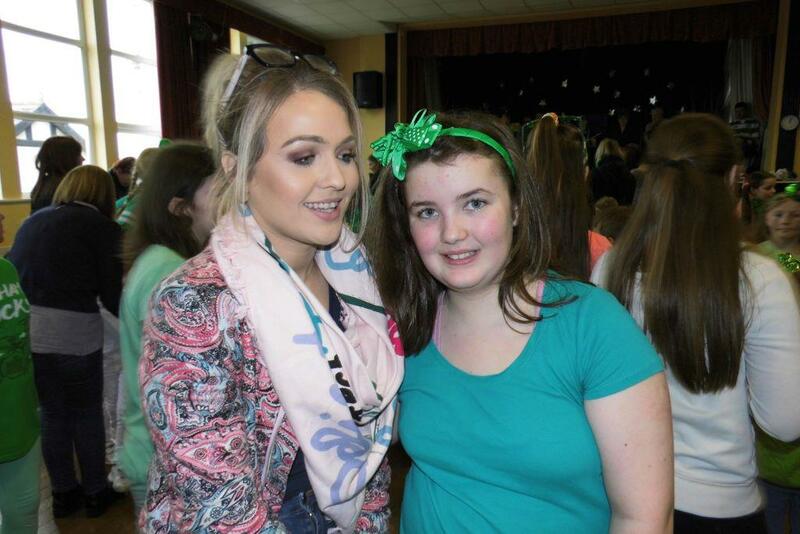 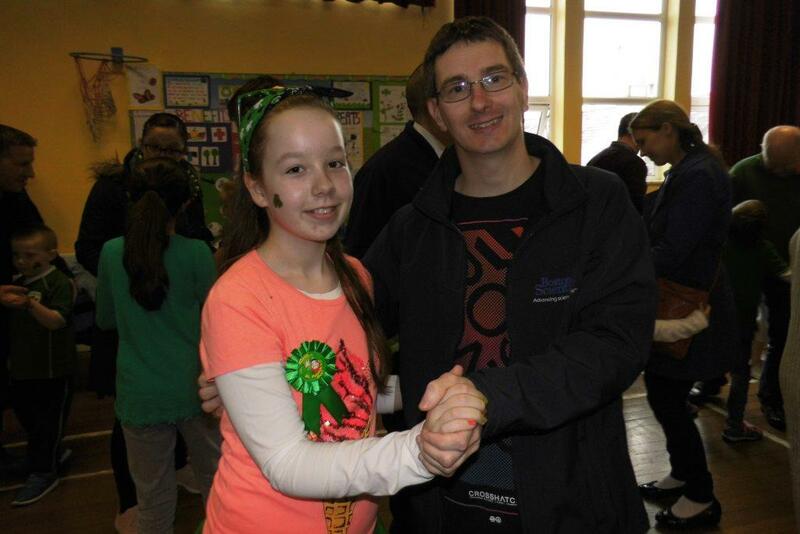 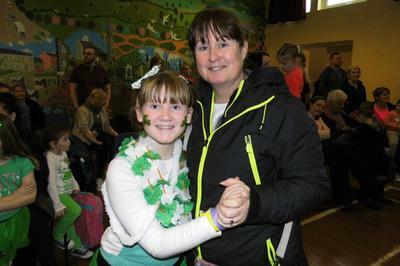 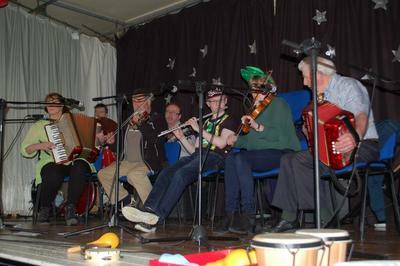 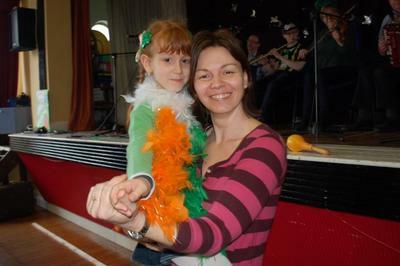 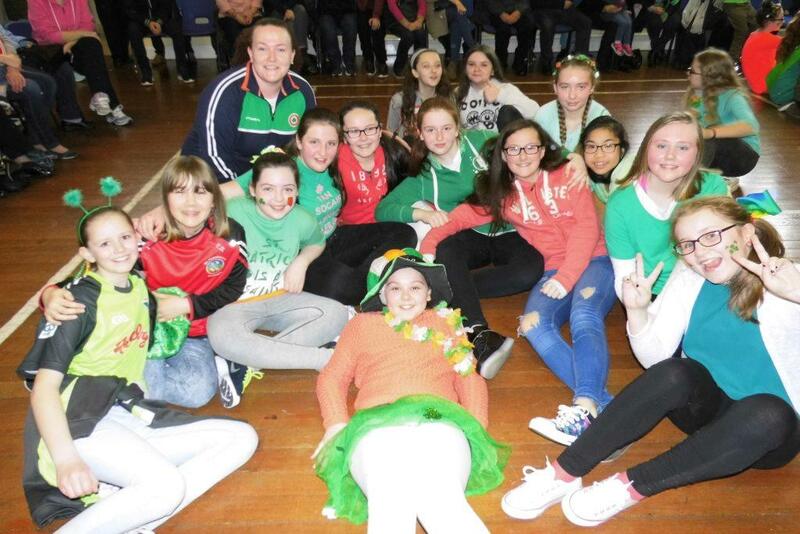 They really were amazing and the céilí would not have been able to take place without them! 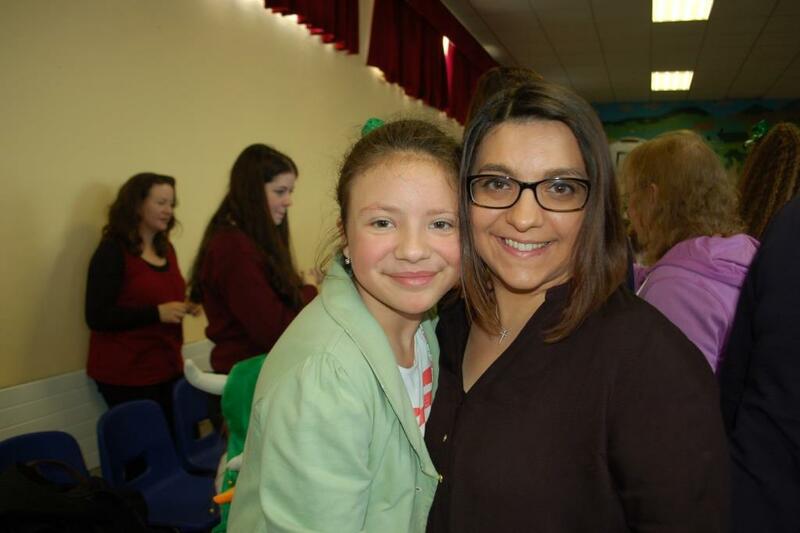 Thanks must also go to the members of the Parents' Council who organised a cake sale to coincide with the céilís and to the parents who donated baked goods. 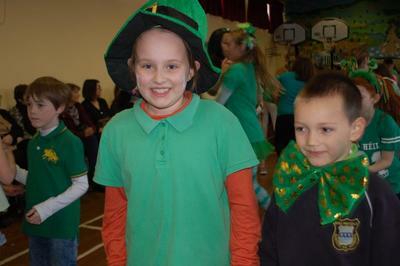 All money raised will go the book rental scheme and the development of ICT in the school.